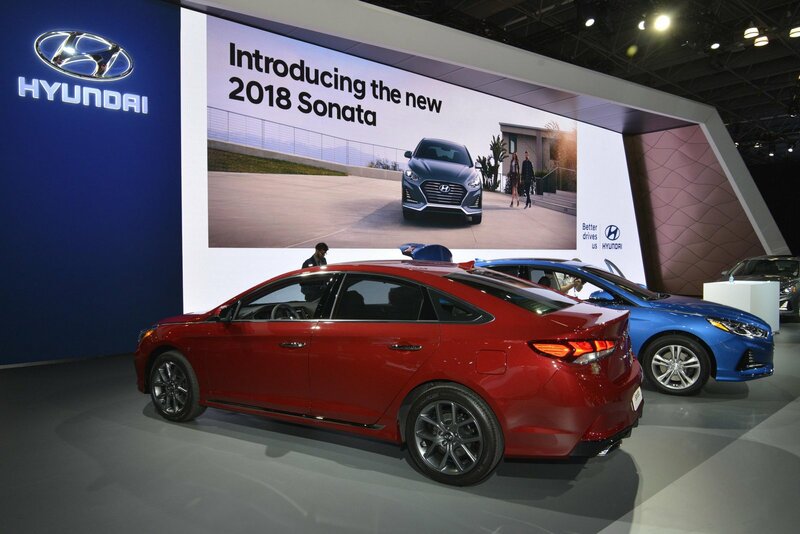 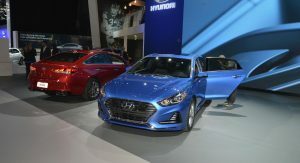 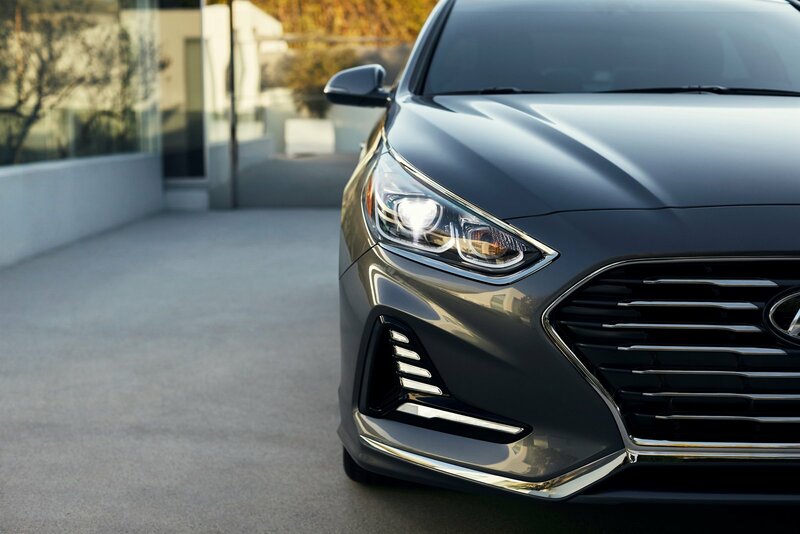 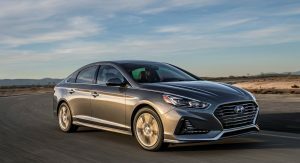 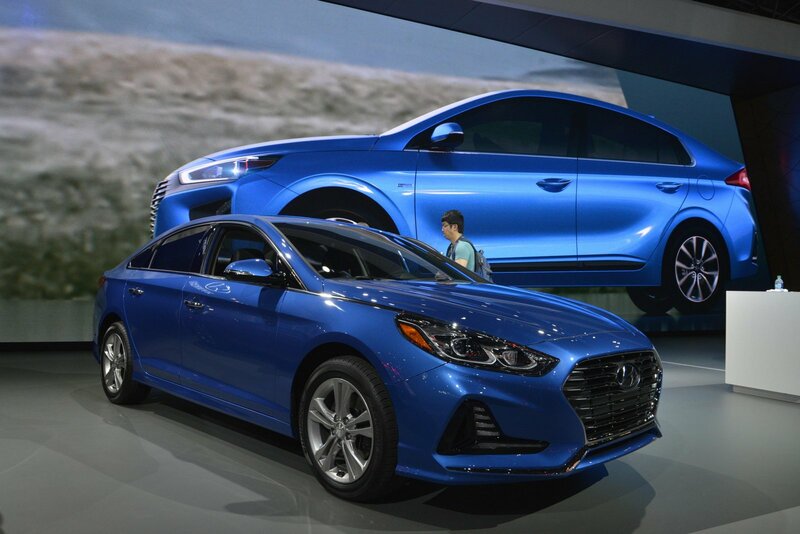 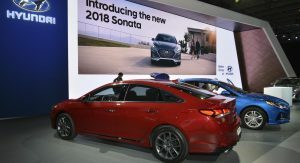 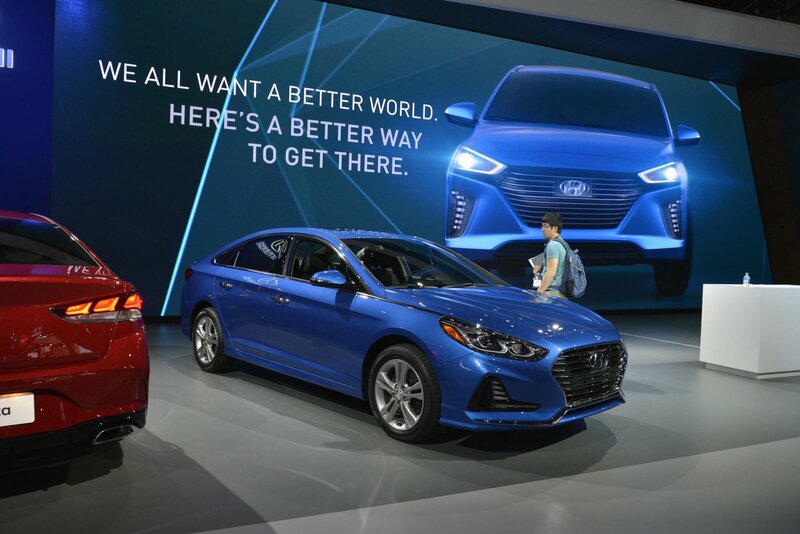 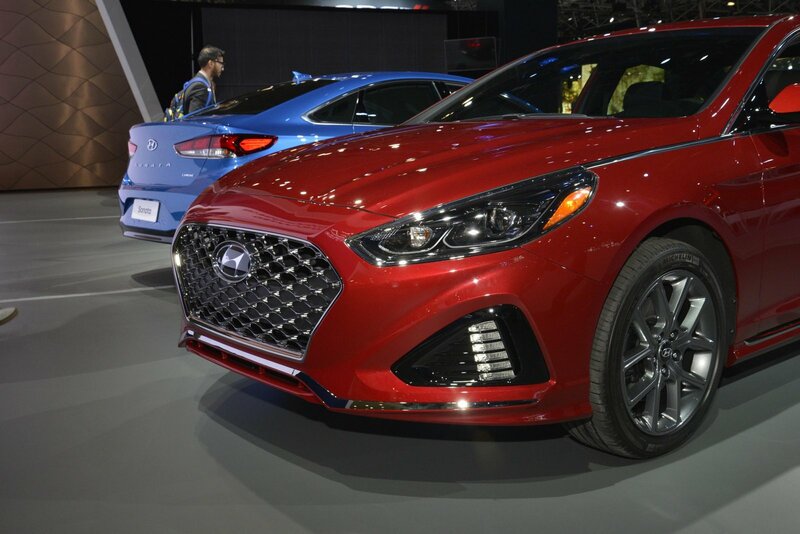 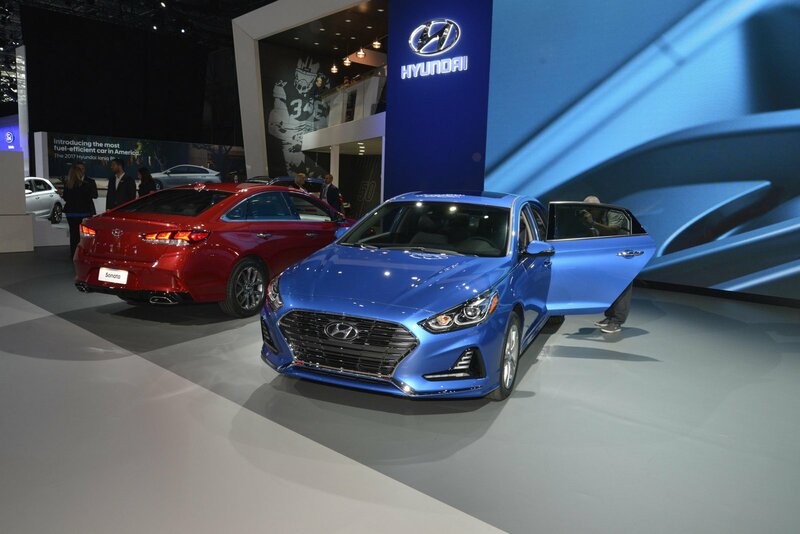 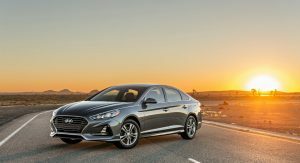 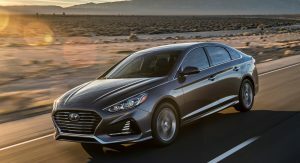 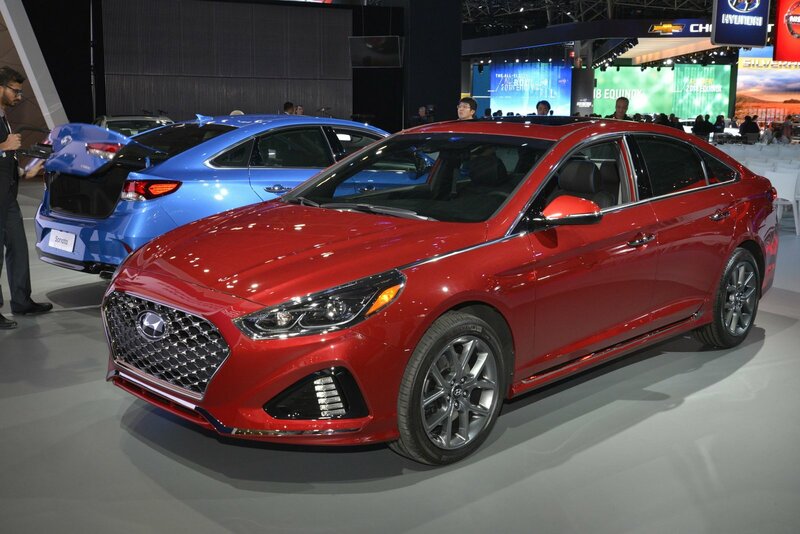 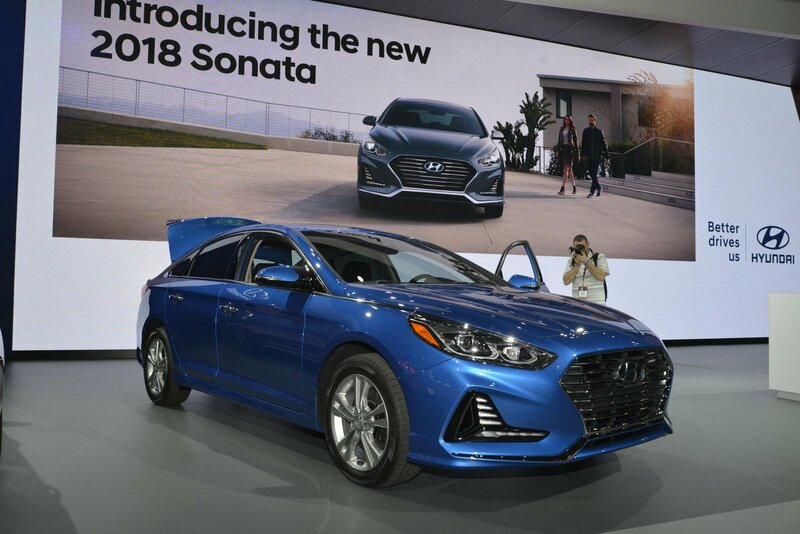 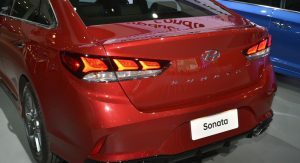 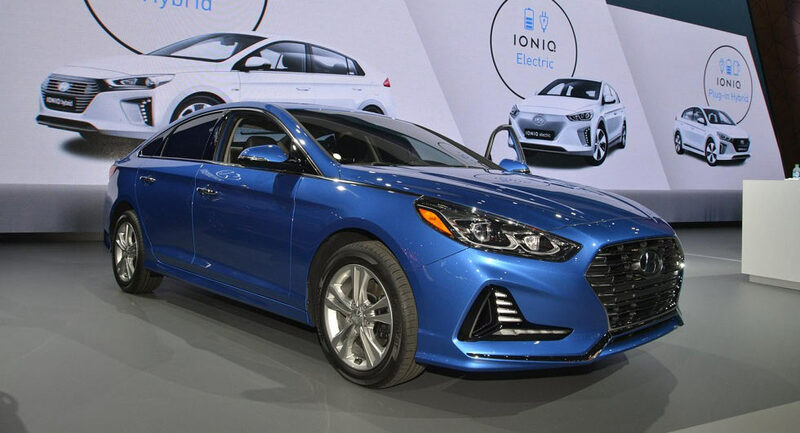 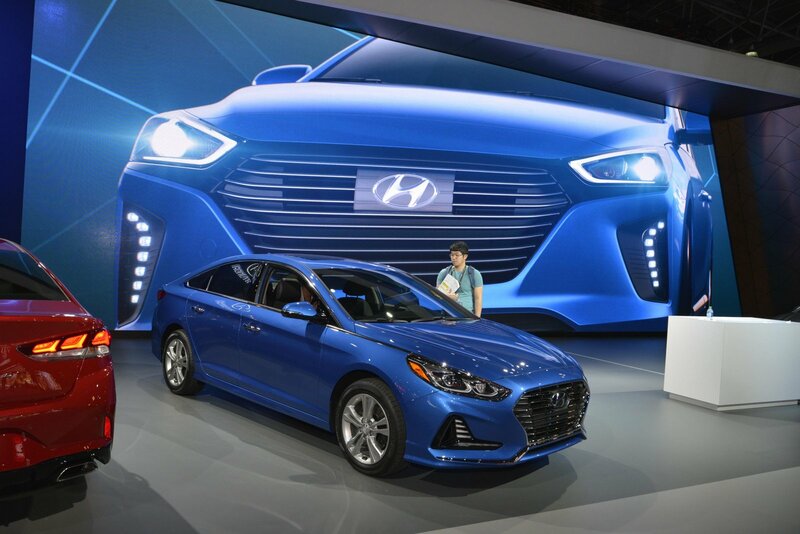 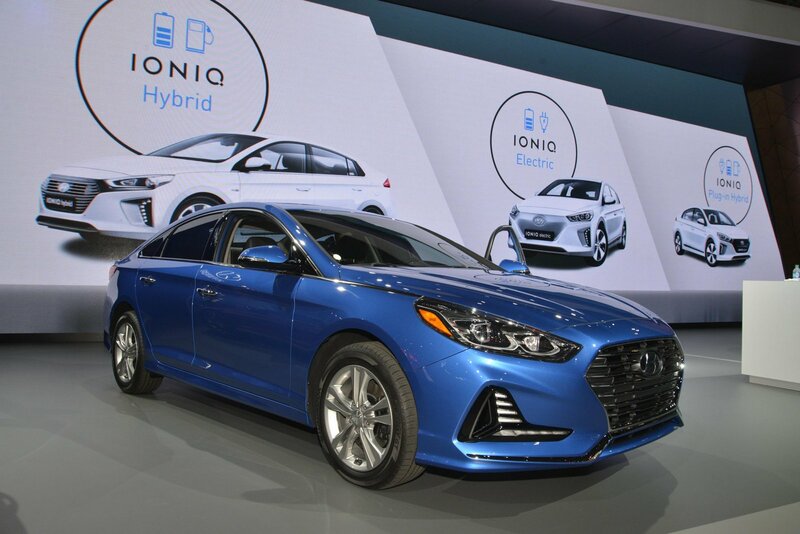 Hyundai has unveiled the facelifted 2018 Sonata at the New York Auto Show. 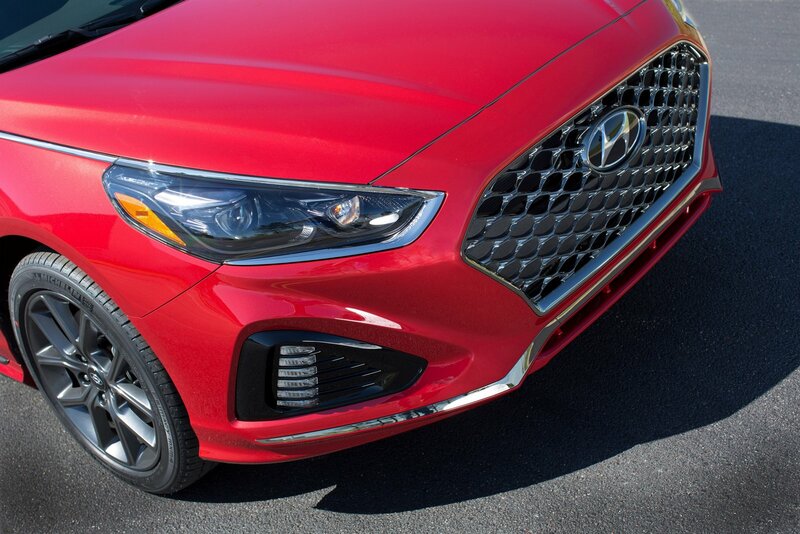 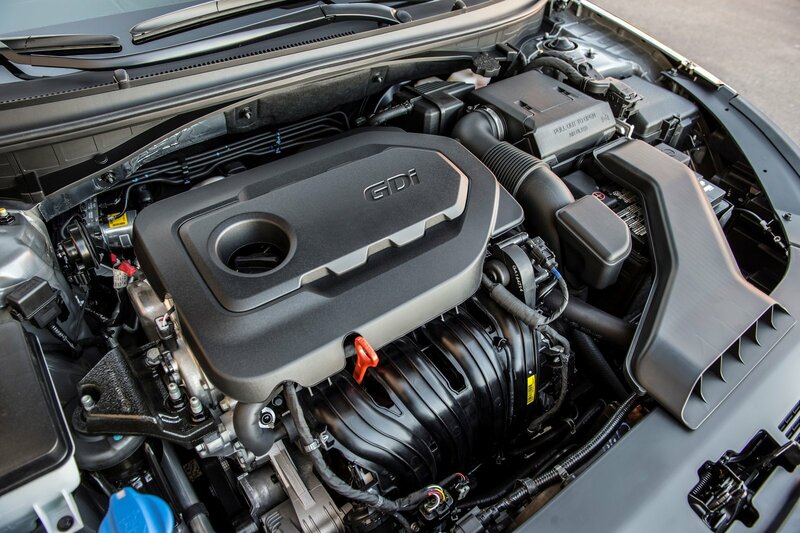 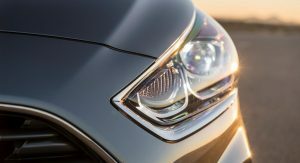 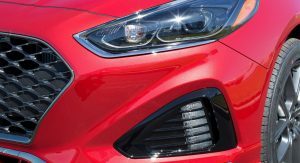 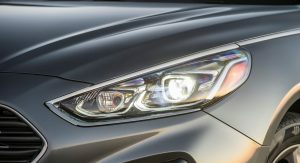 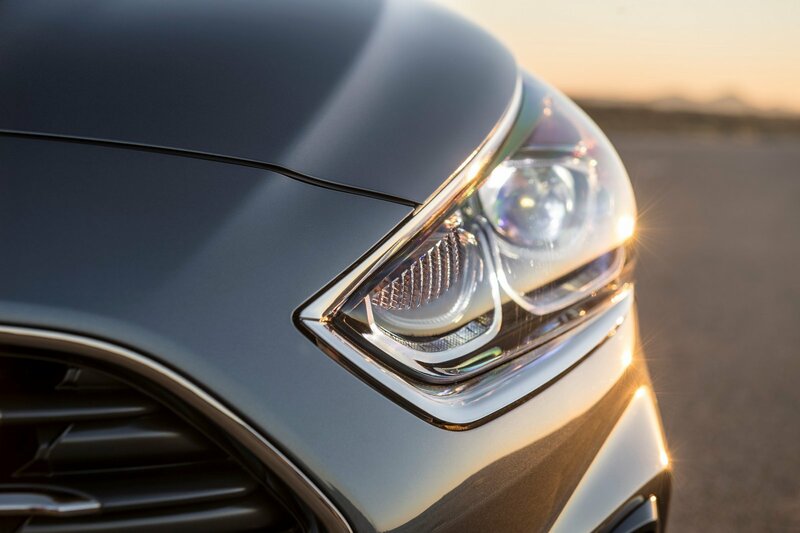 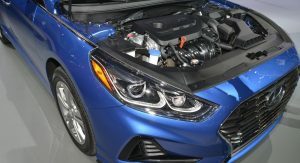 Looking virtually identical to the Korean model which was introduced last month, the North American variant has a sportier front fascia with a larger grille that is flanked by LED-infused headlights. 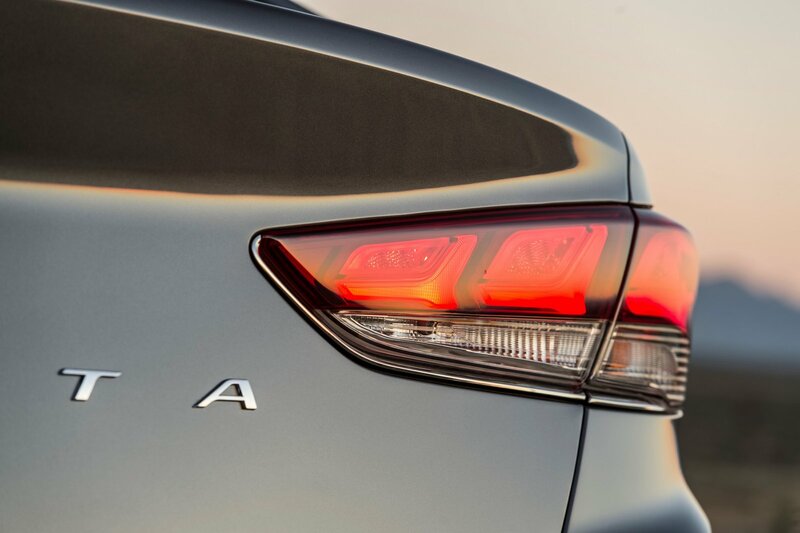 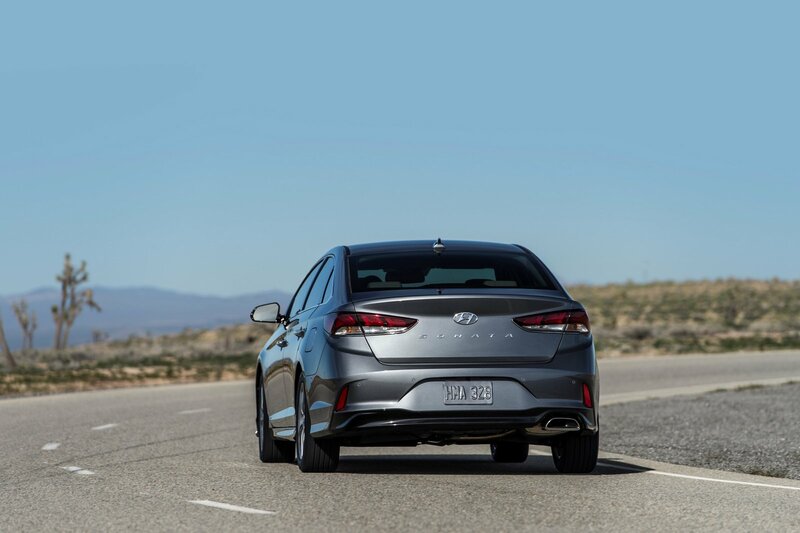 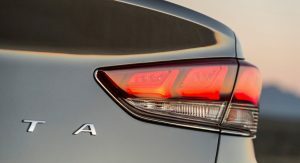 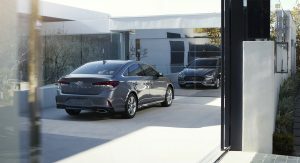 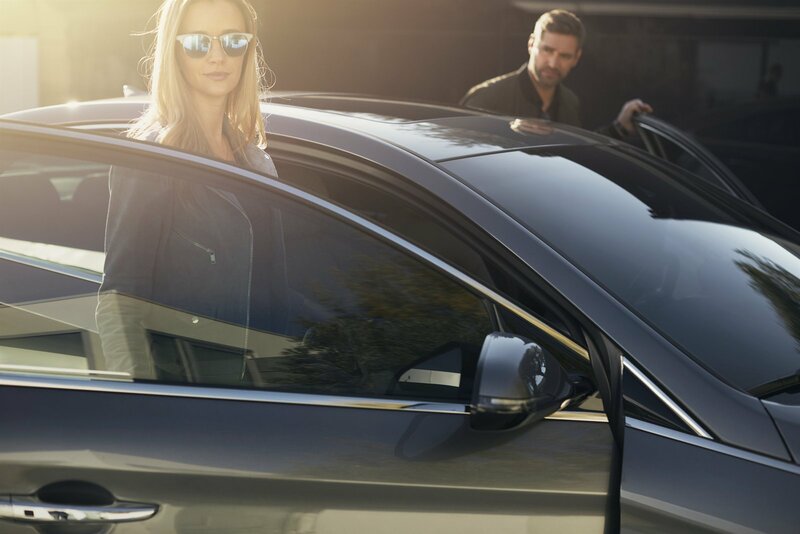 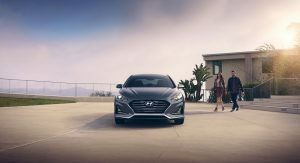 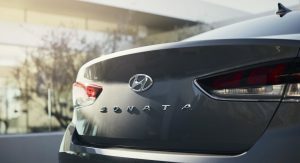 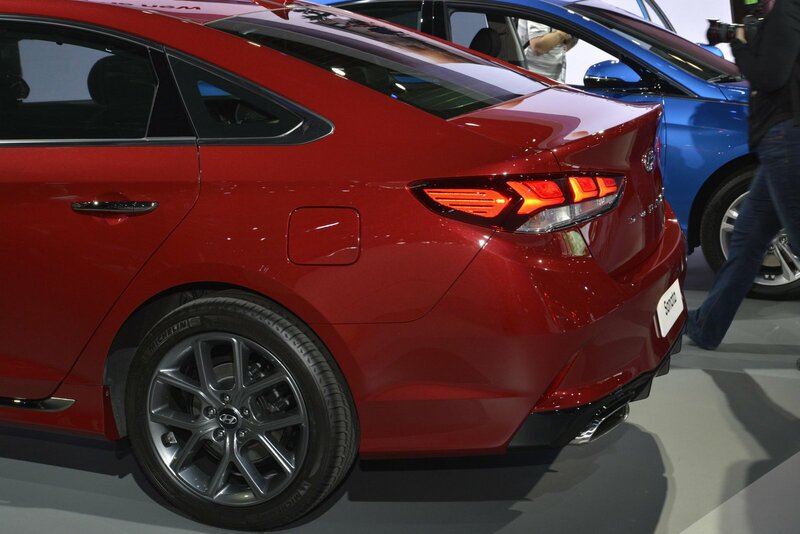 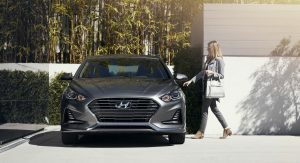 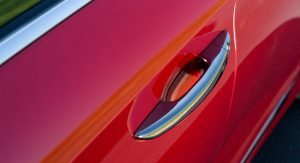 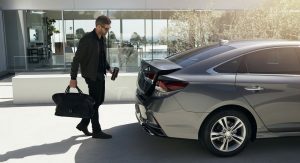 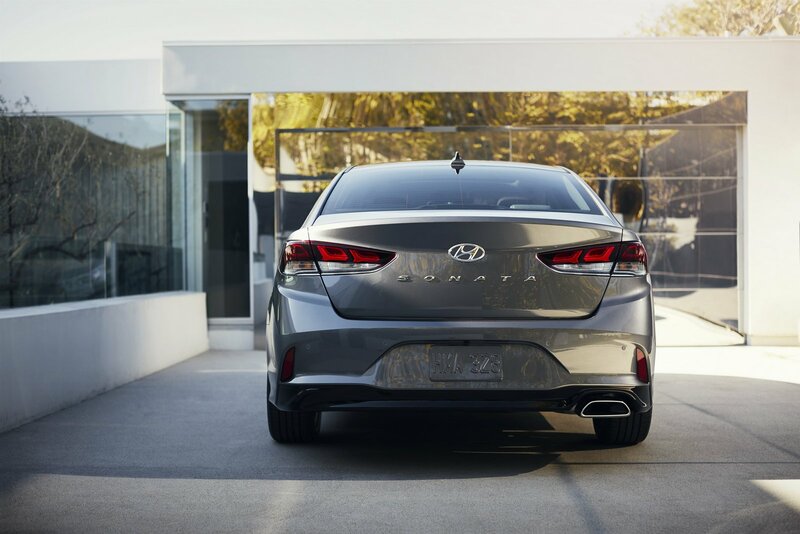 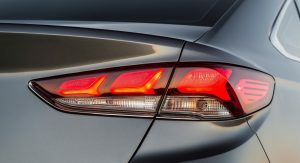 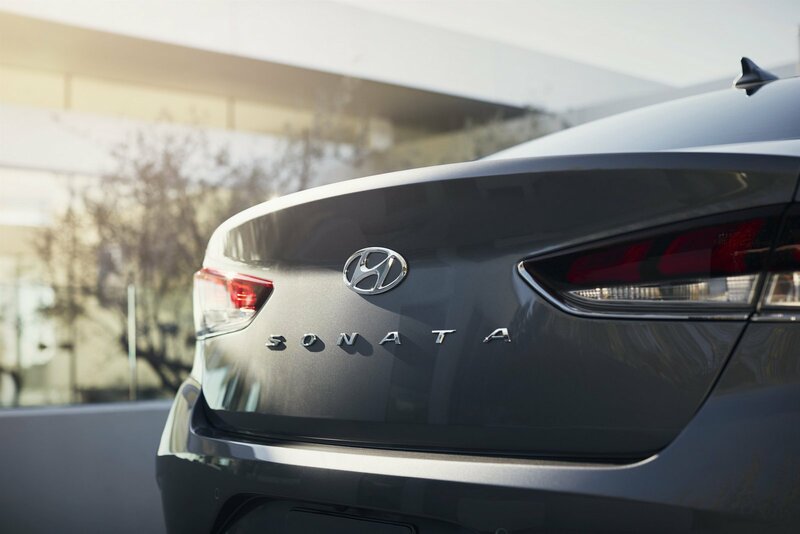 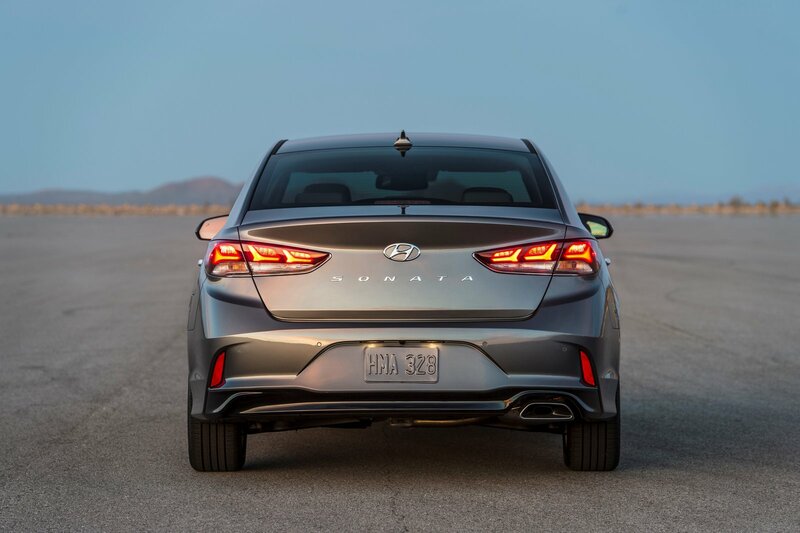 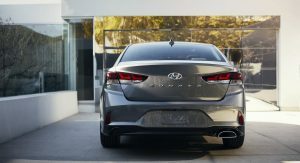 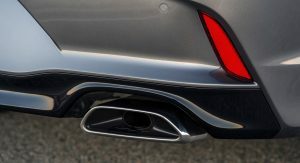 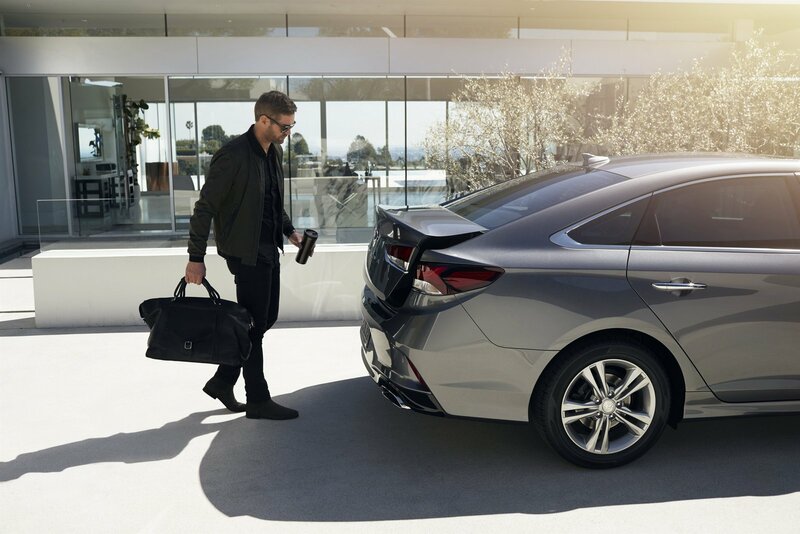 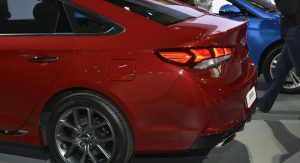 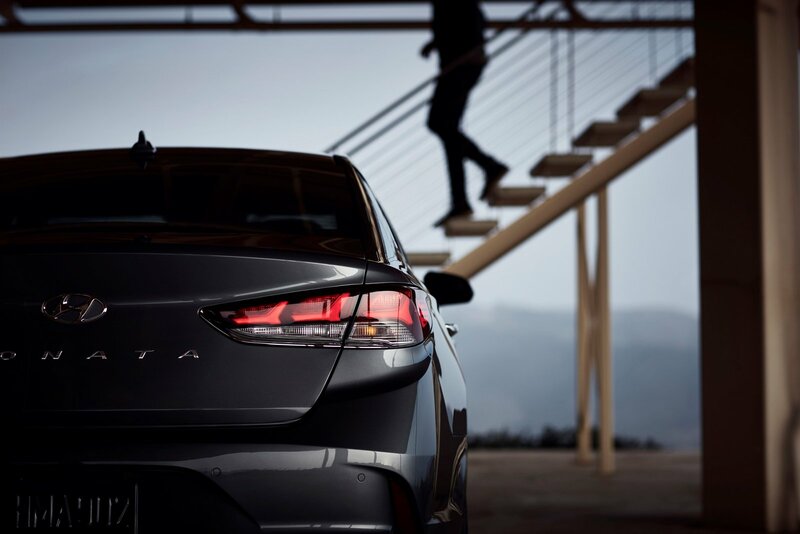 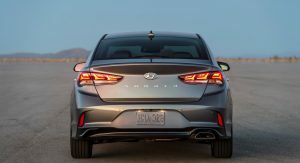 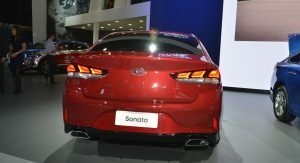 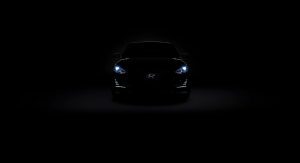 The refreshened styling continues further back as customers will find restyled taillights, new alloy wheels, and a rear Hyundai badge that doubles as a trunk release button. 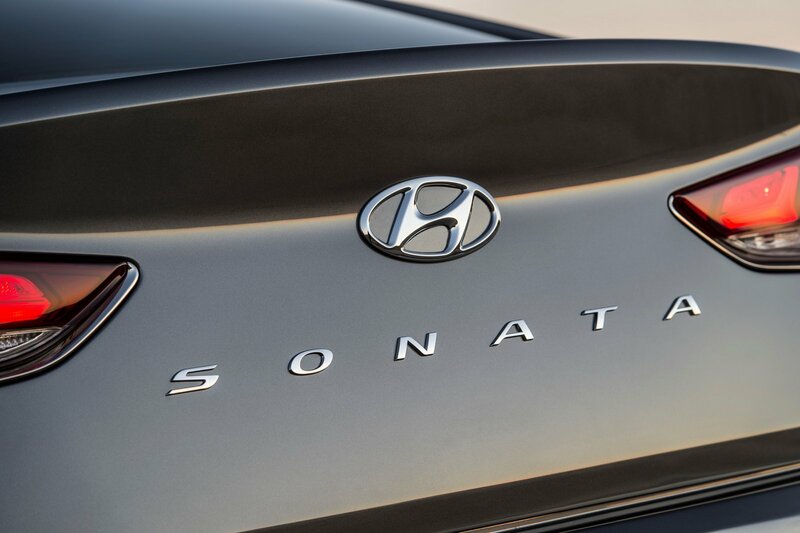 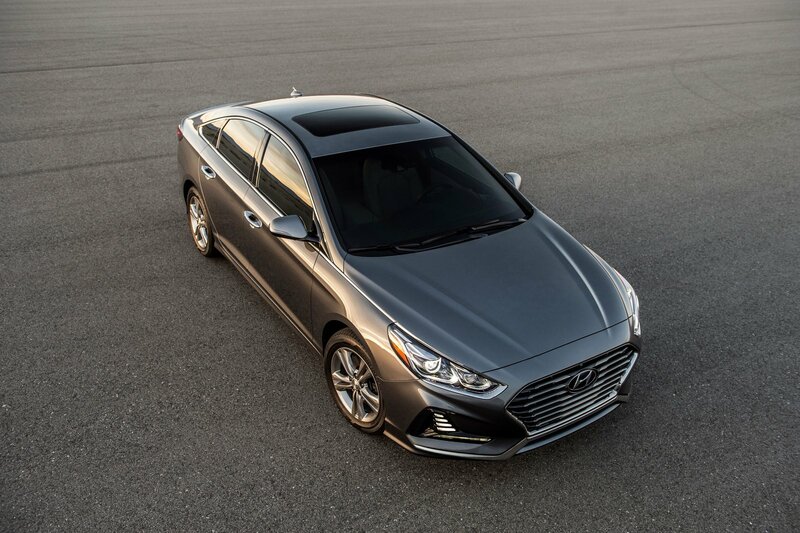 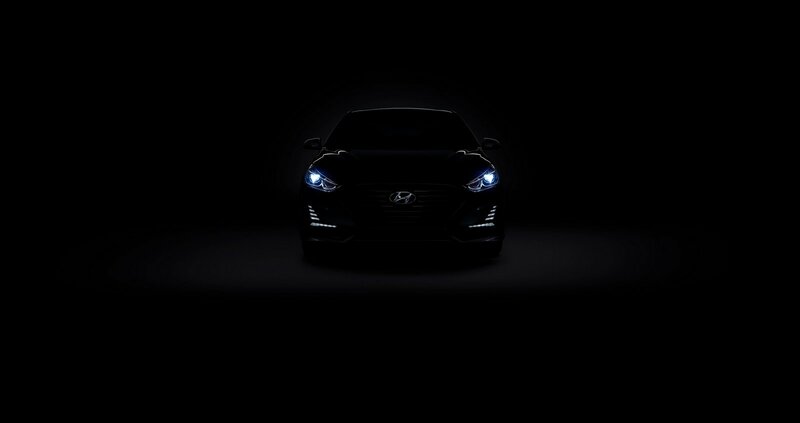 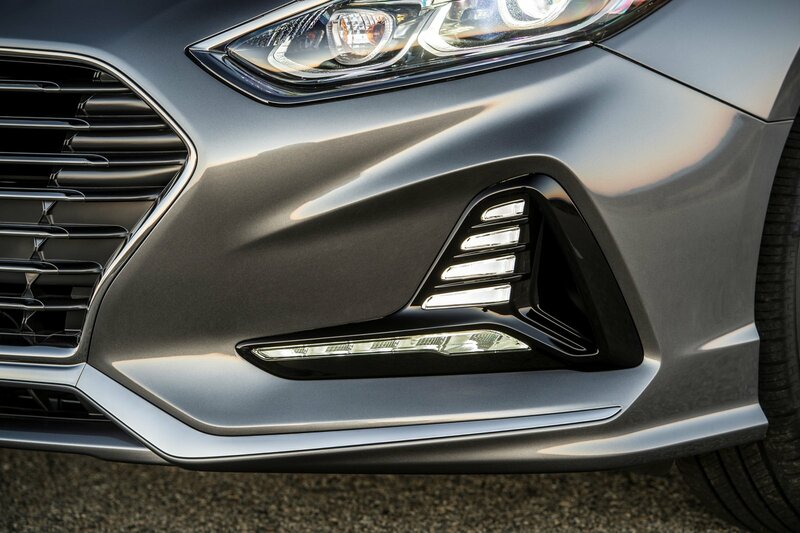 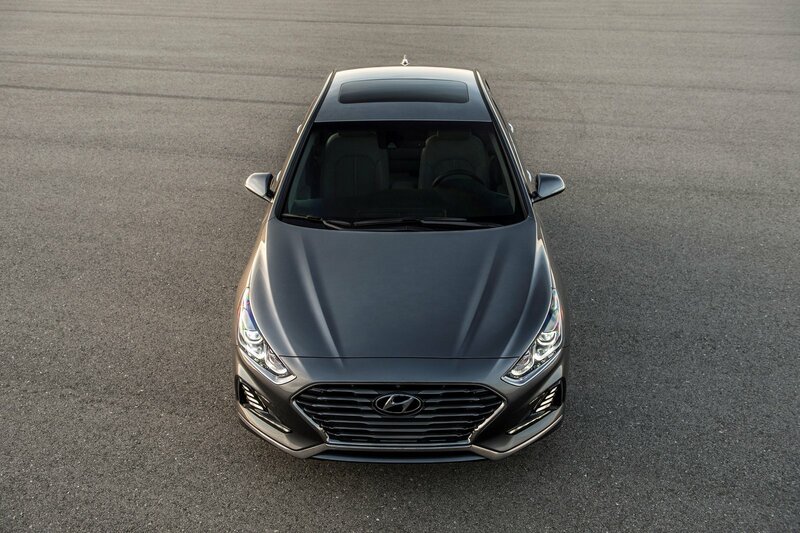 The Sonata Sport and Sonata 2.0T go one step further as they are distinguished by a mesh grille, unique bumpers, and gloss black window trim. 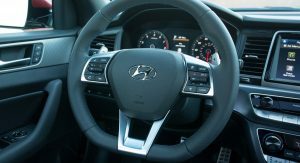 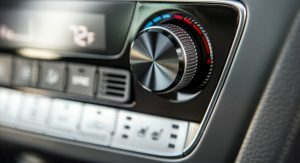 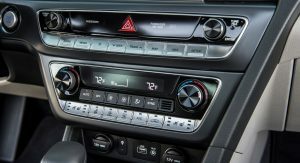 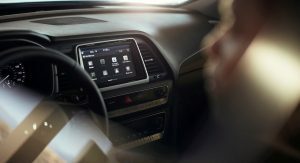 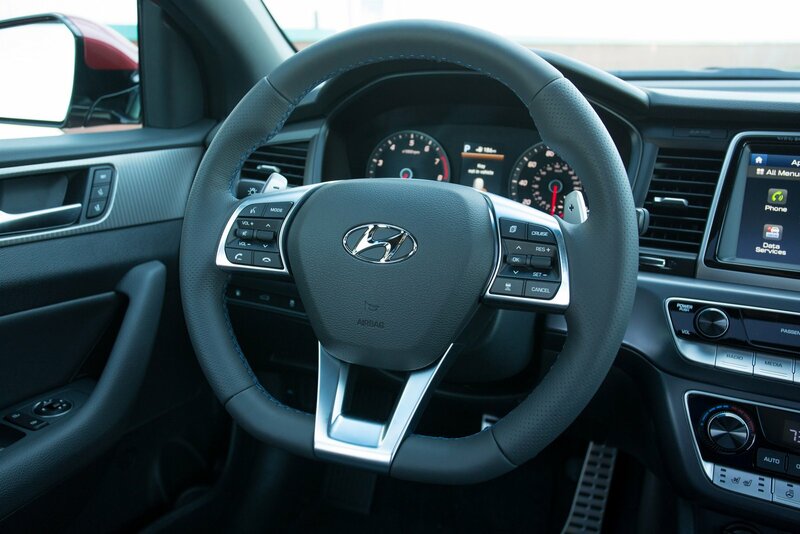 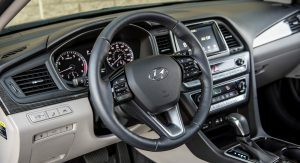 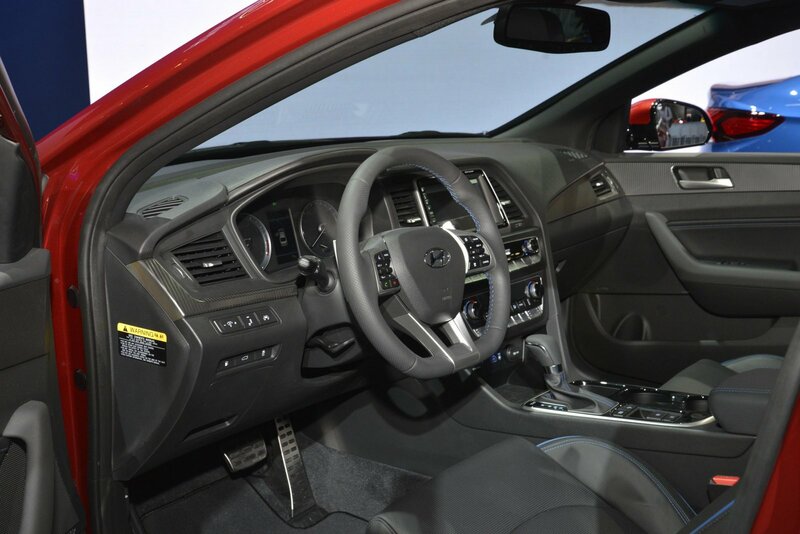 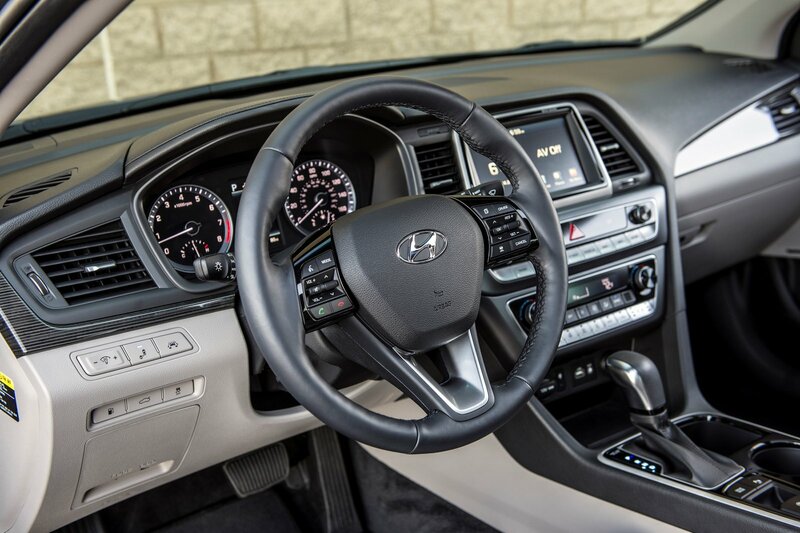 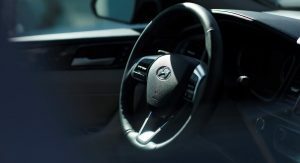 The cabin invokes a sense of déjà vu but the company has added a revised instrument cluster, a new three-spoke steering wheel, and an updated center stack with new switchgear. 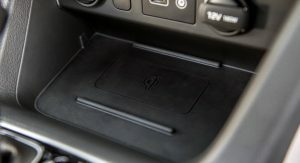 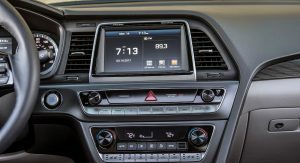 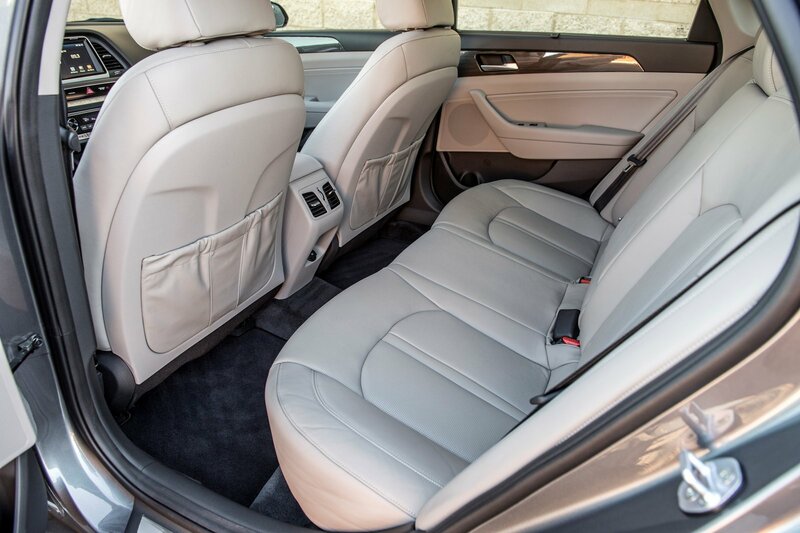 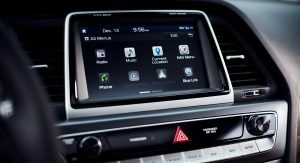 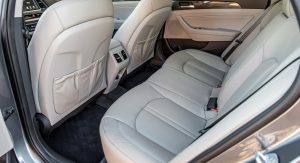 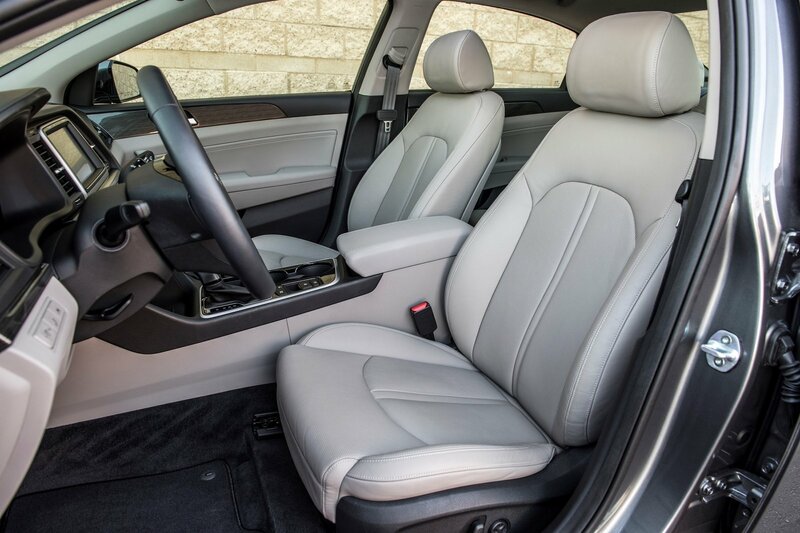 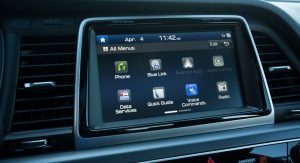 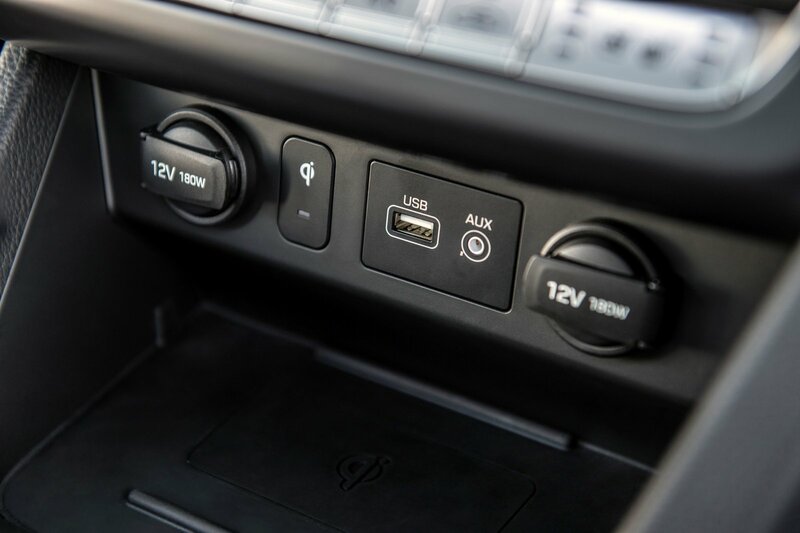 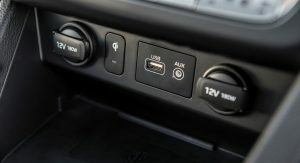 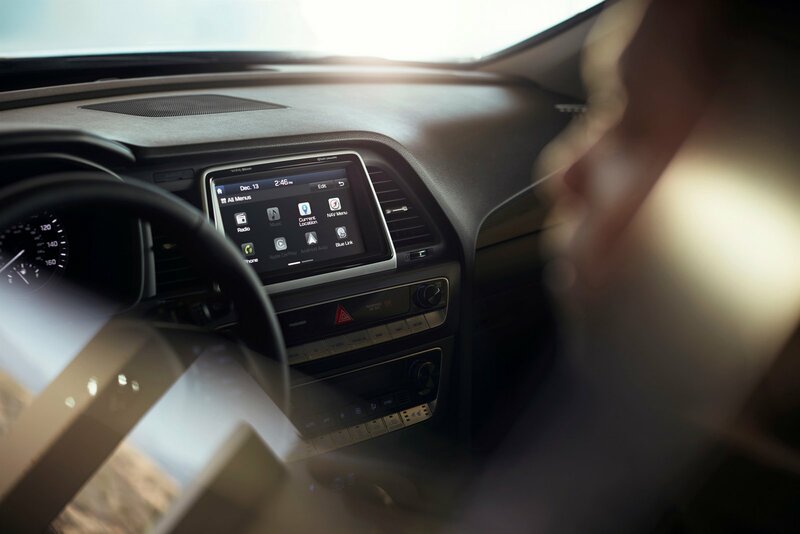 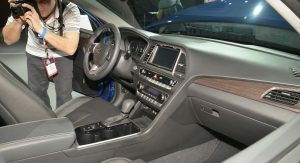 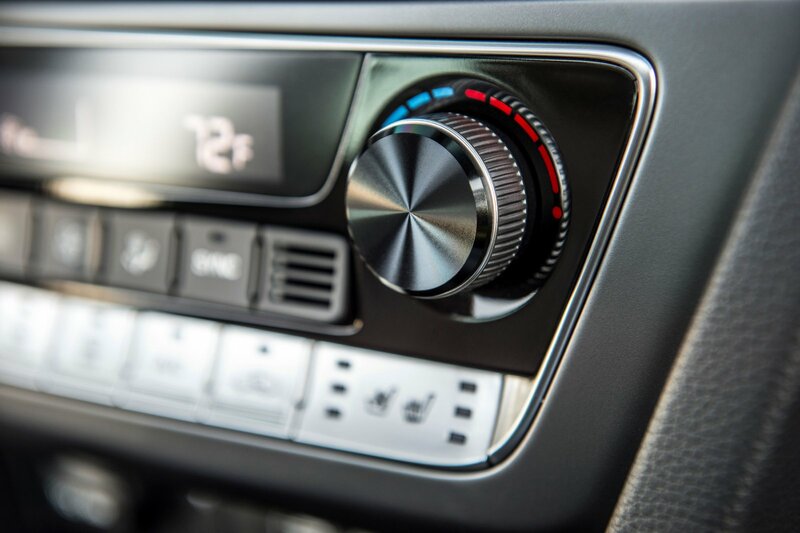 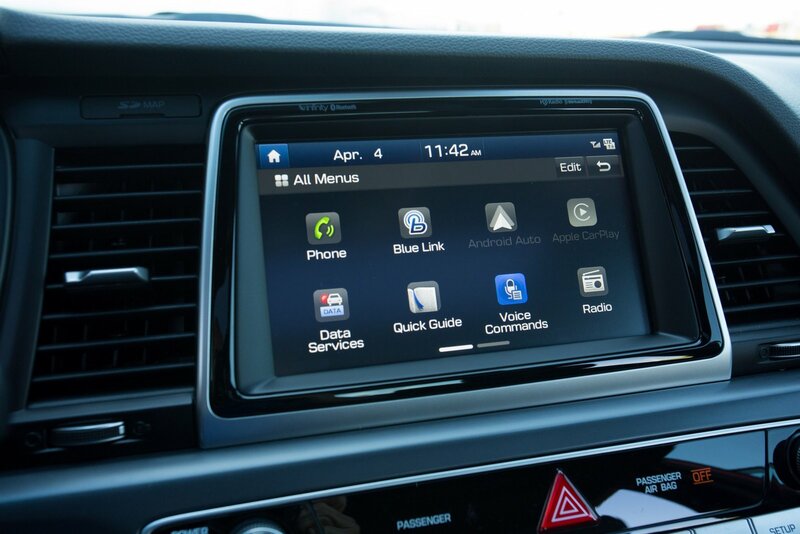 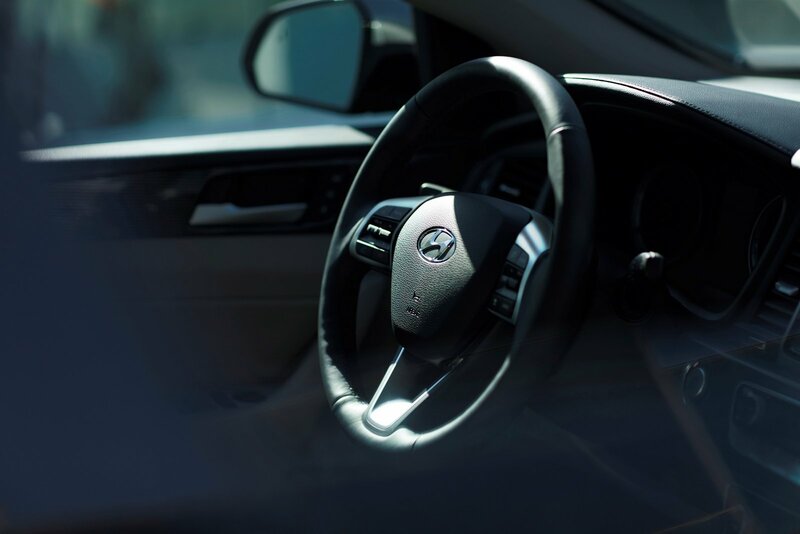 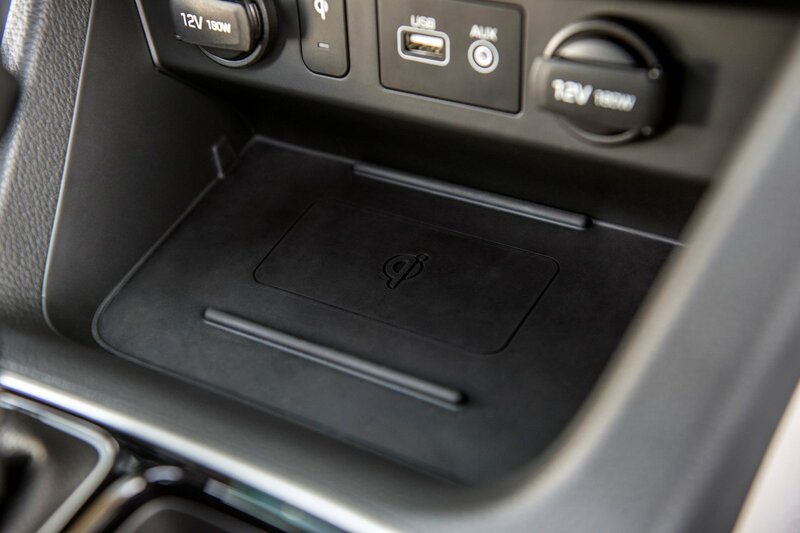 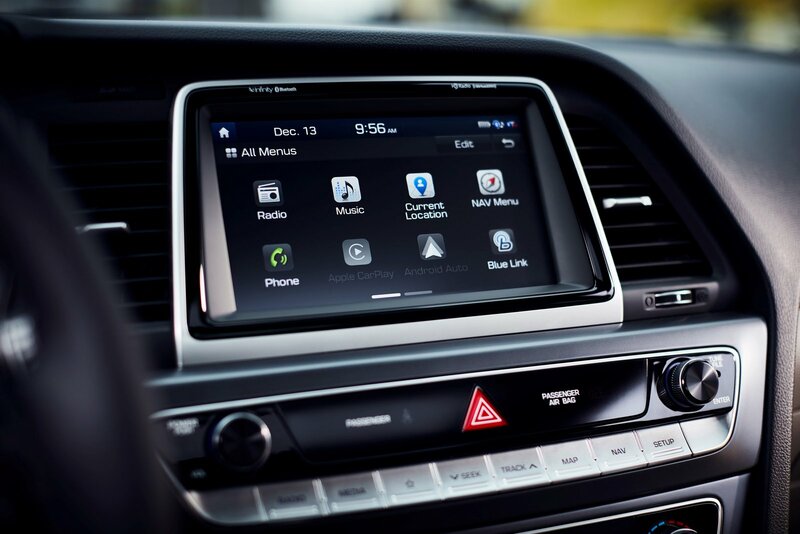 Buyers will also find a second row USB charging port, an upgraded infotainment system, and an improved navigation system with a bird’s eye view feature. 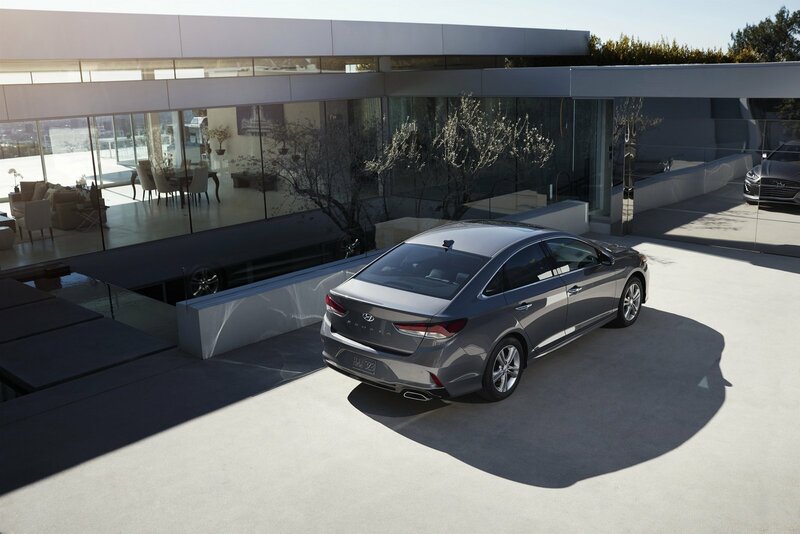 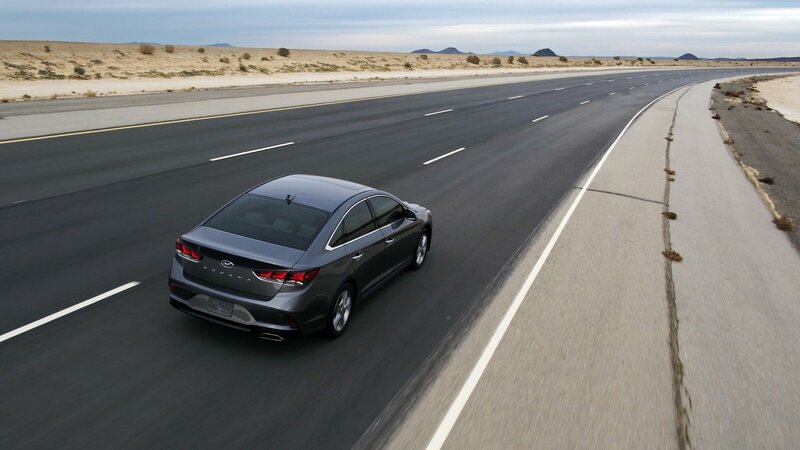 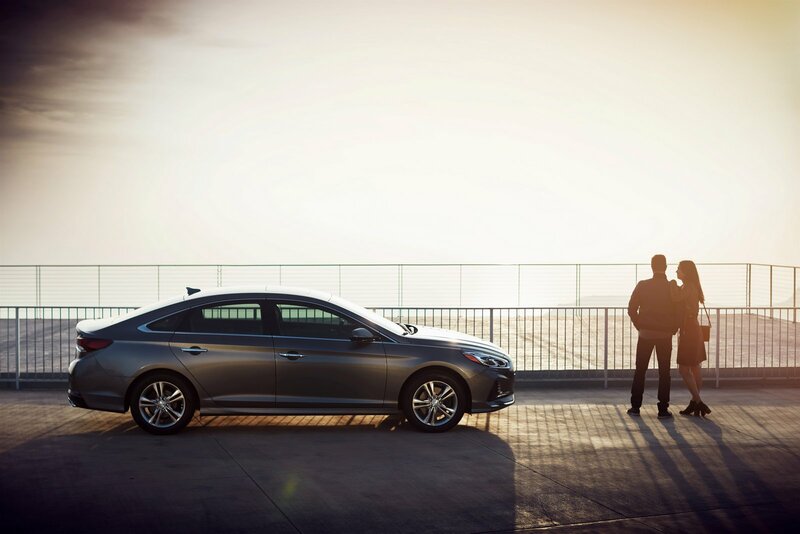 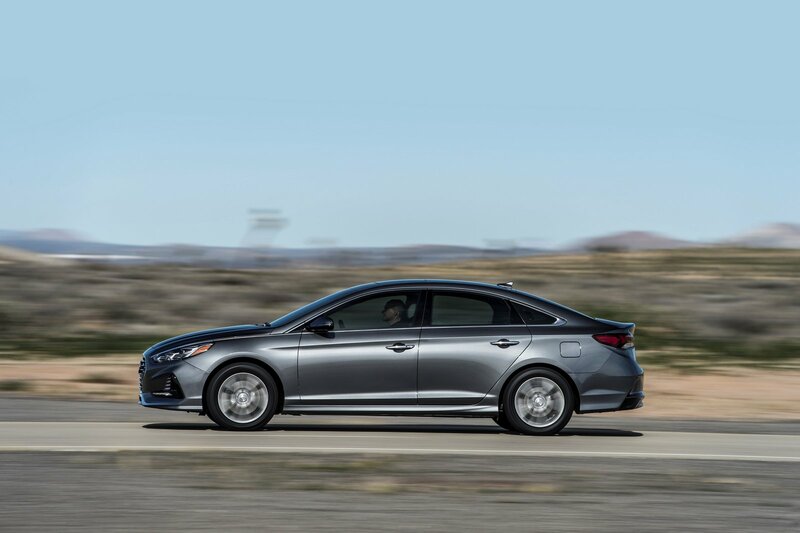 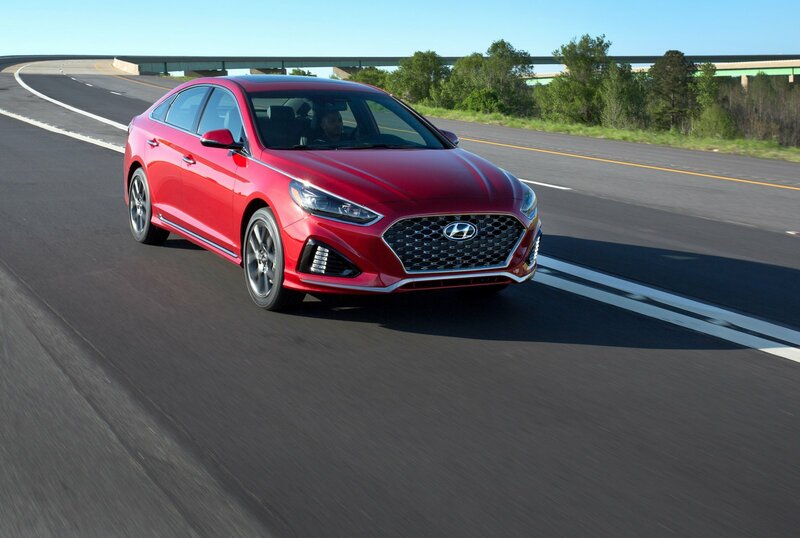 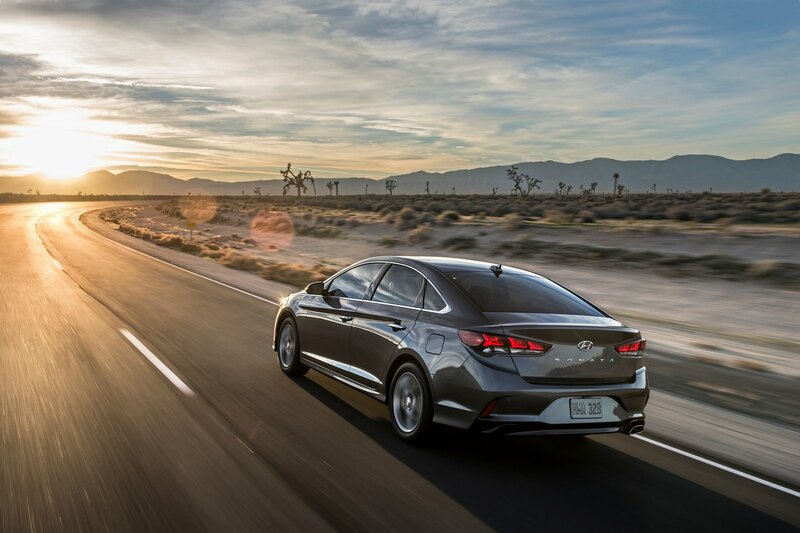 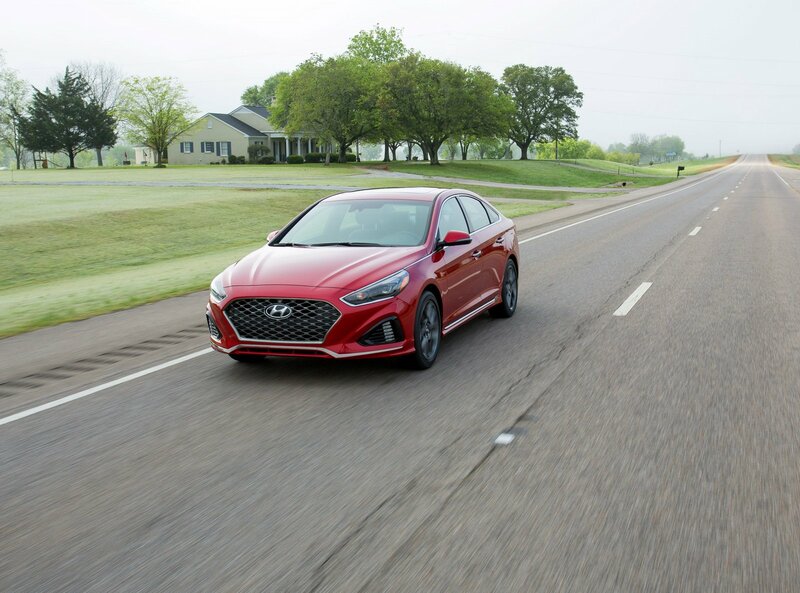 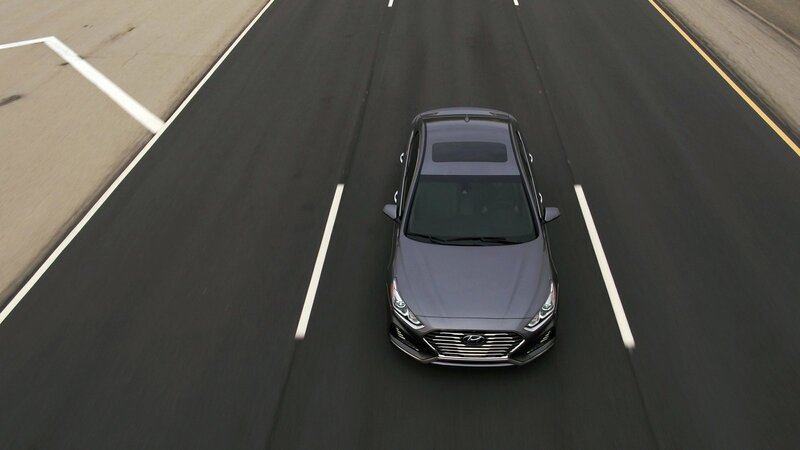 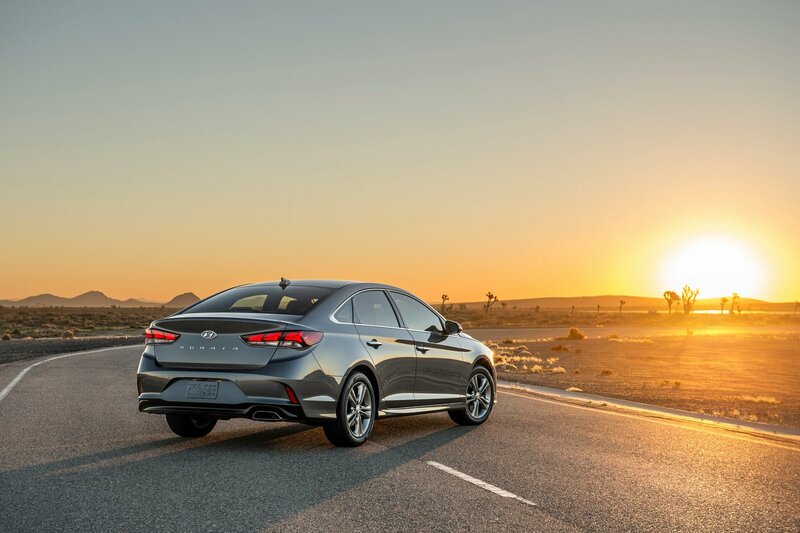 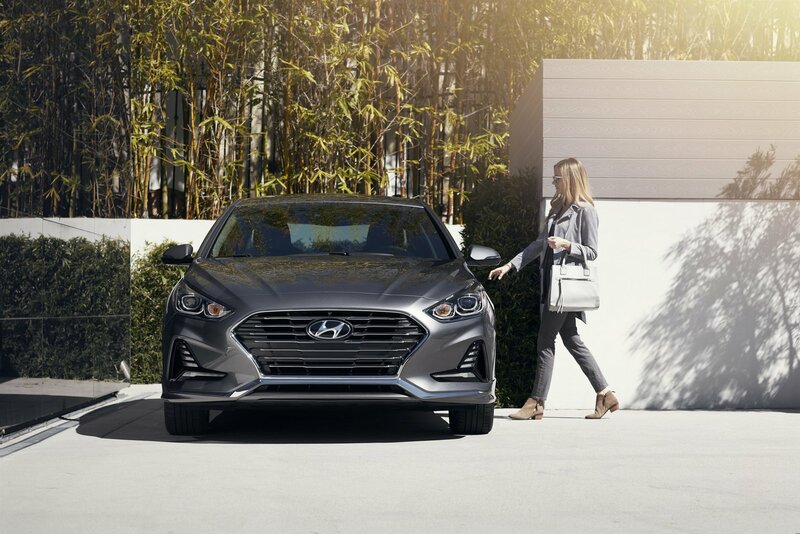 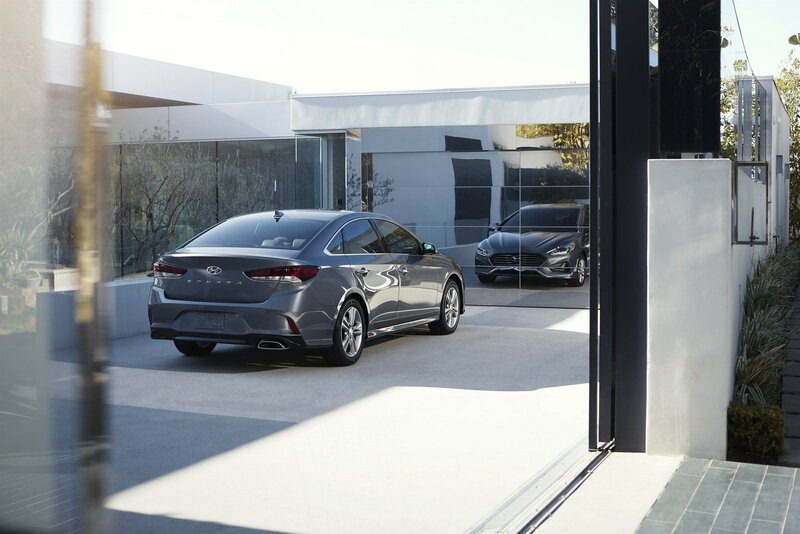 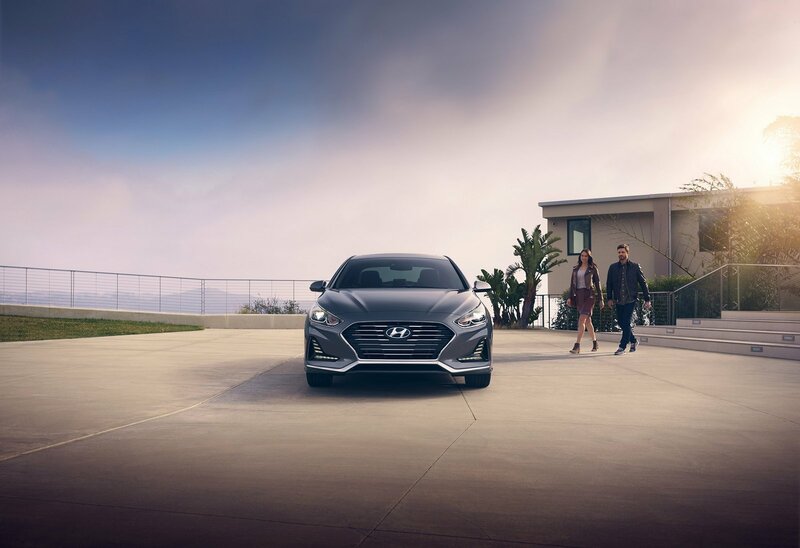 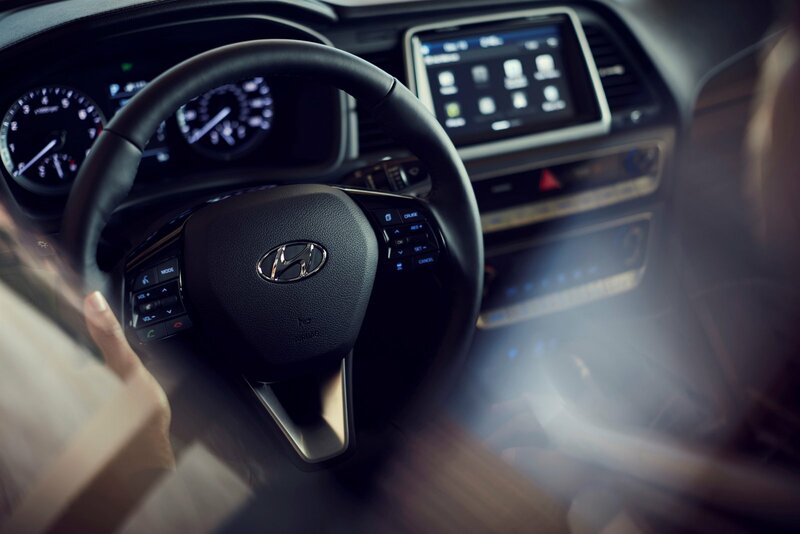 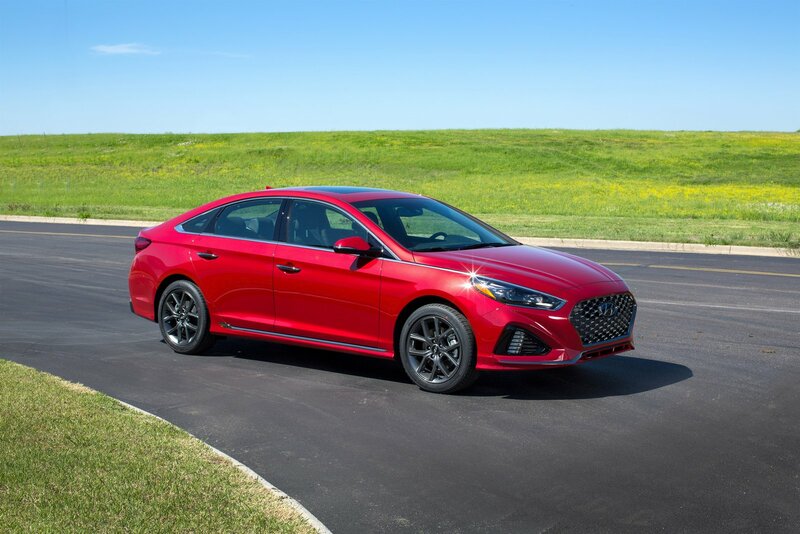 On the safety front, the 2018 Sonata gains a standard Blind Spot Detection system as well as Rear Cross-Traffic Alert. 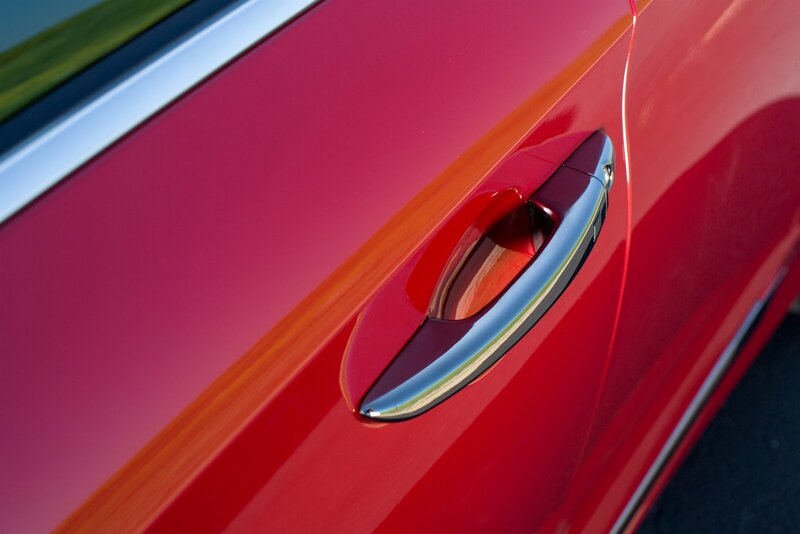 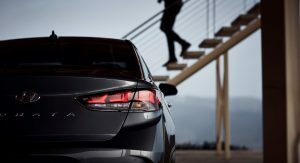 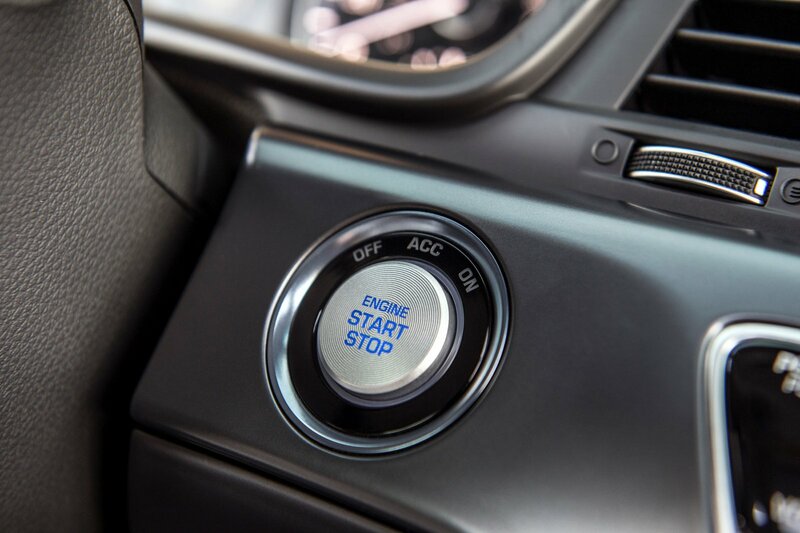 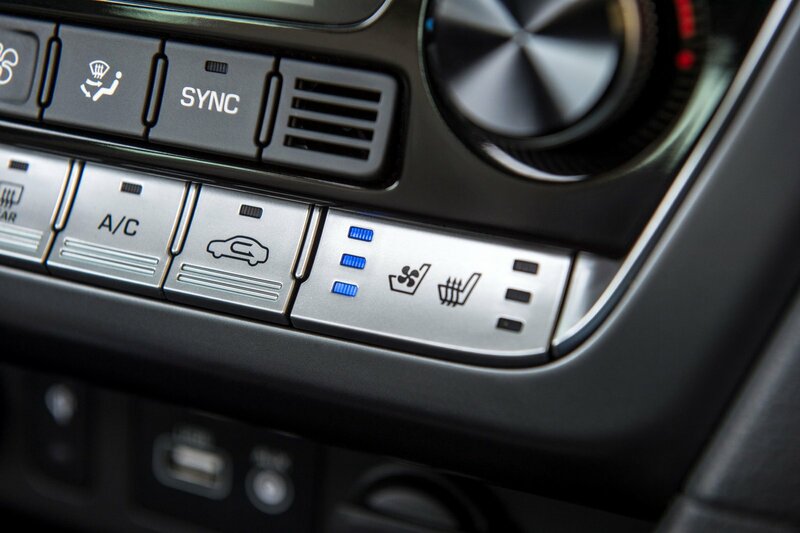 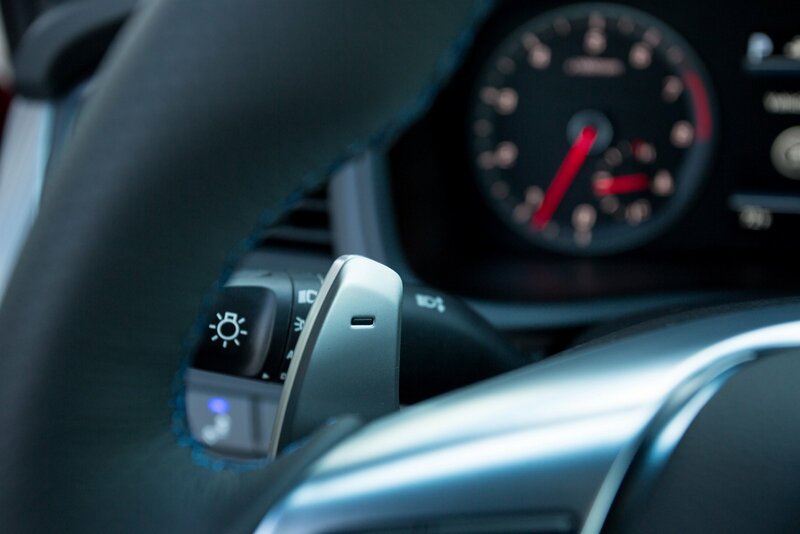 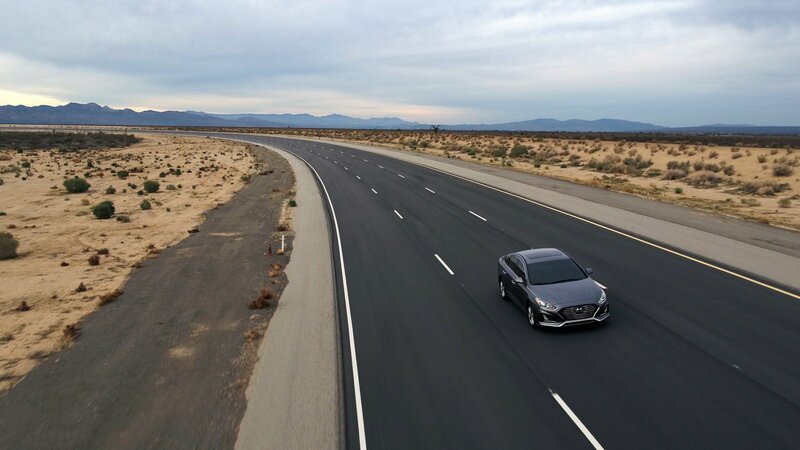 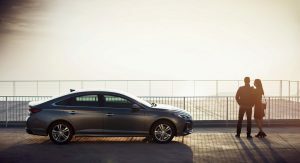 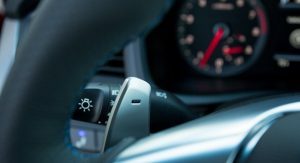 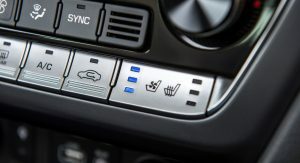 Certain models can also be equipped with a new Lane Departure Warning system and an improved Lane Keep Assist function. 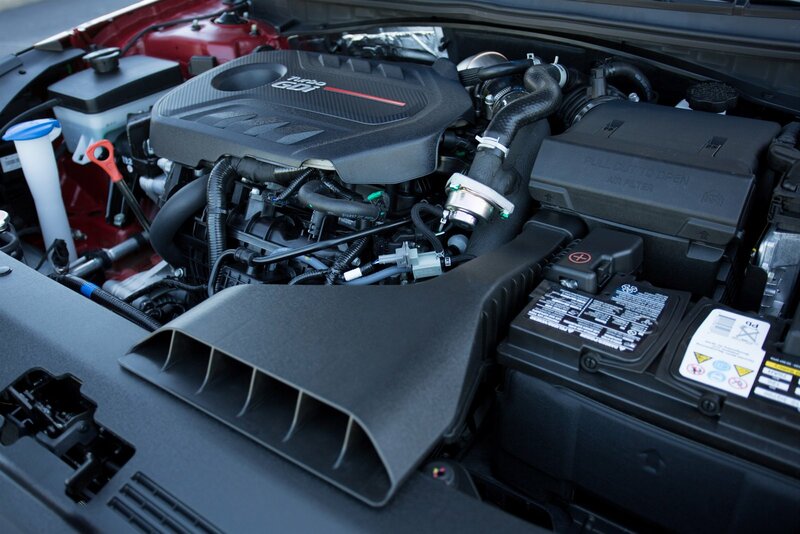 The changes are more than skin deep as engineers installed a stiffer torsion bar and a recalibrated steering system. 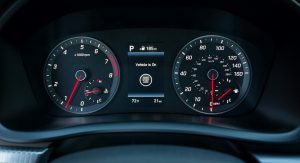 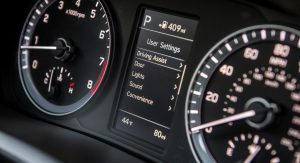 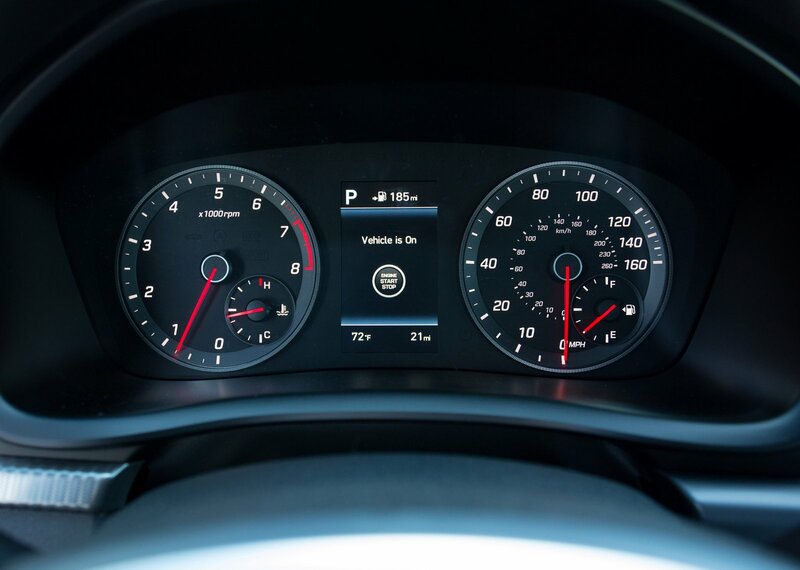 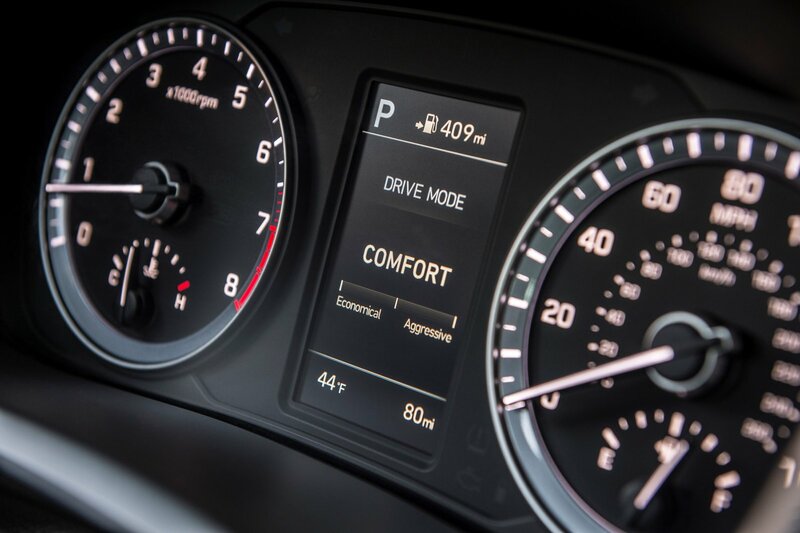 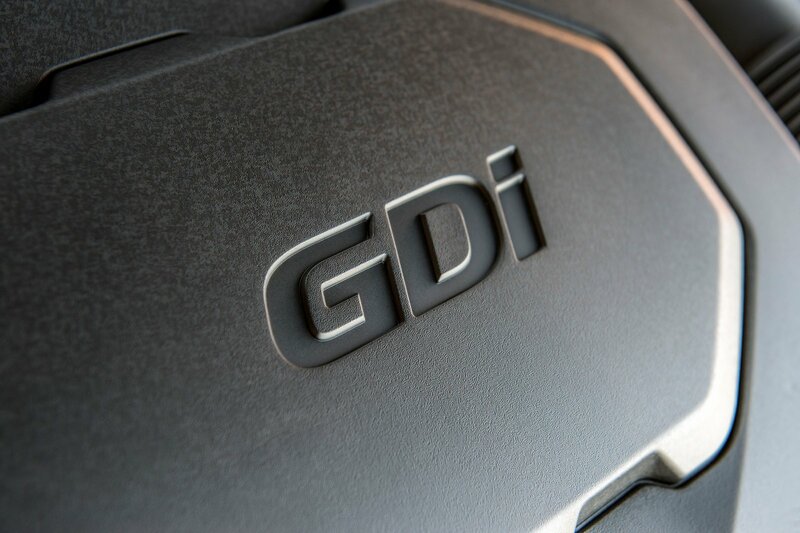 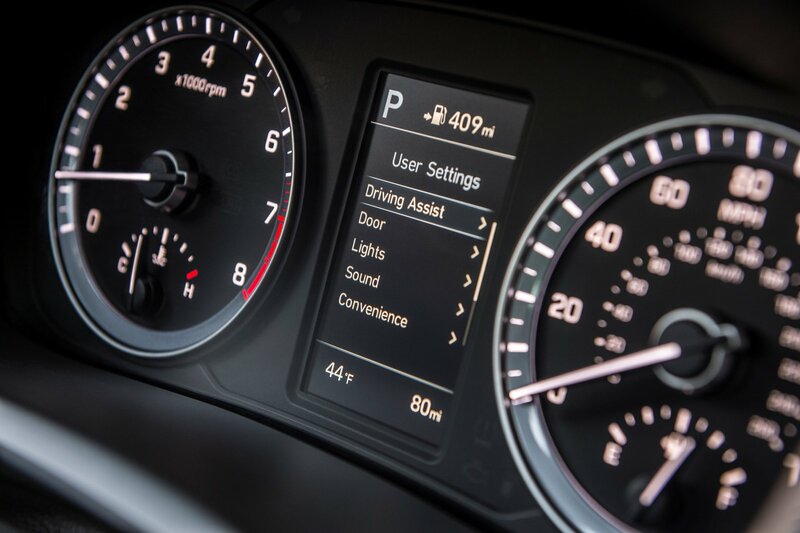 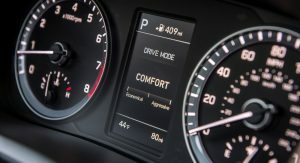 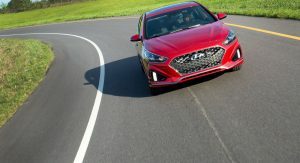 The company says these changes will help to improve responsiveness as well as on-center steering feel. 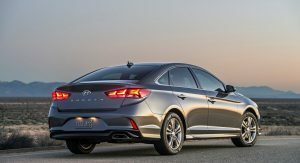 Lastly, Hyundai modified the rear suspension by adding new bushings and thicker trailing arms to better handle heavy suspension loads. 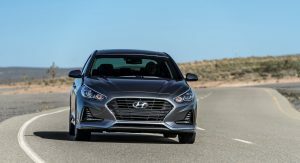 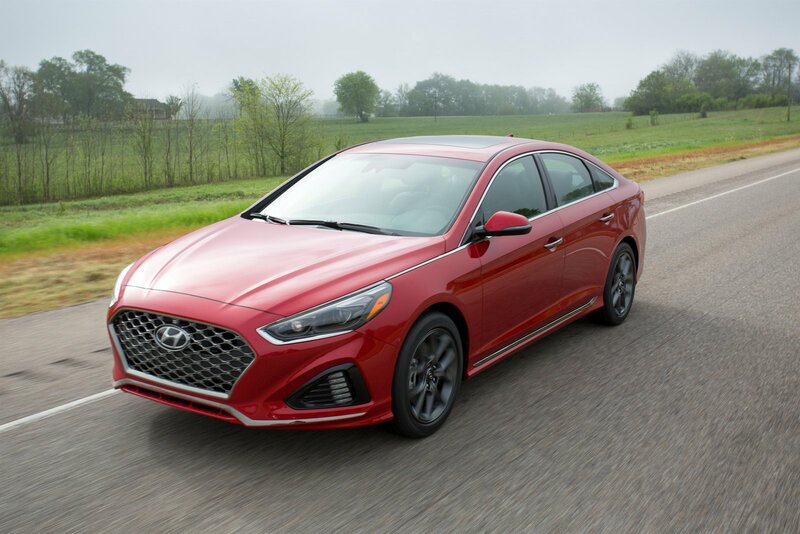 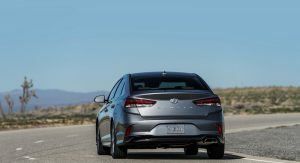 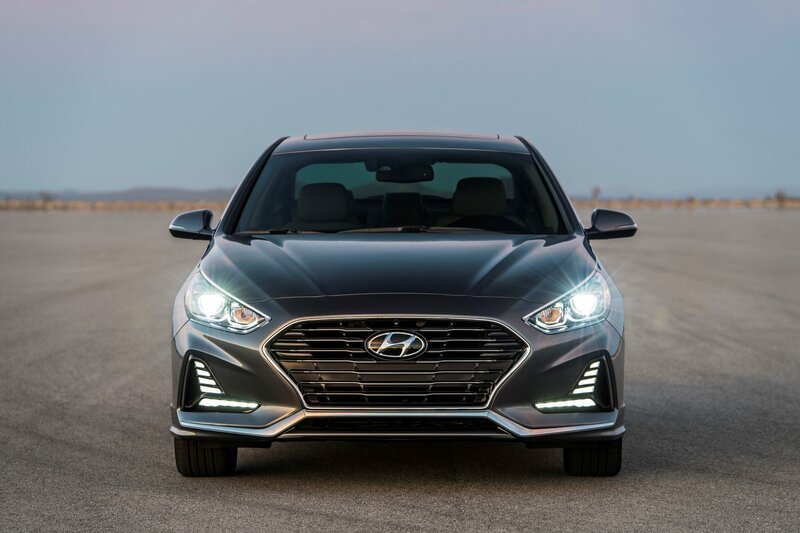 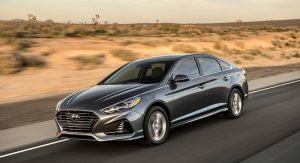 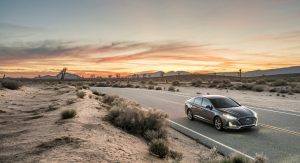 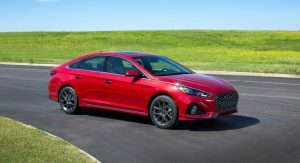 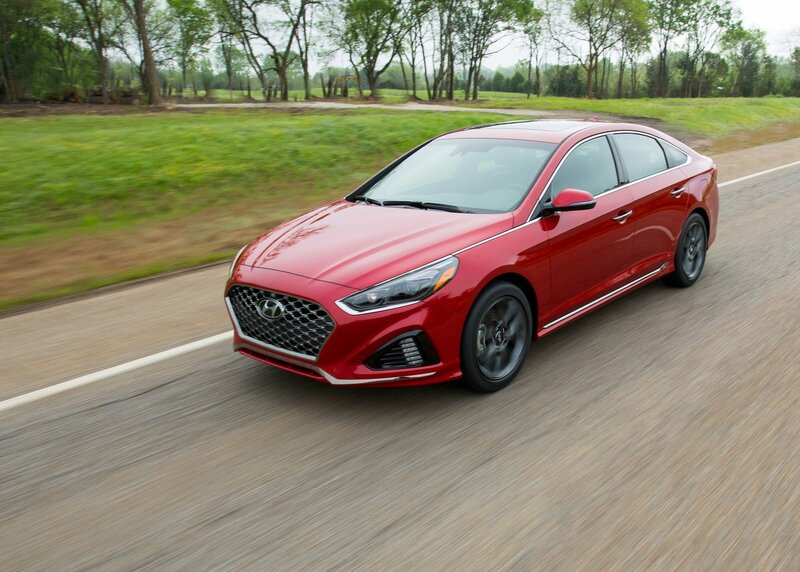 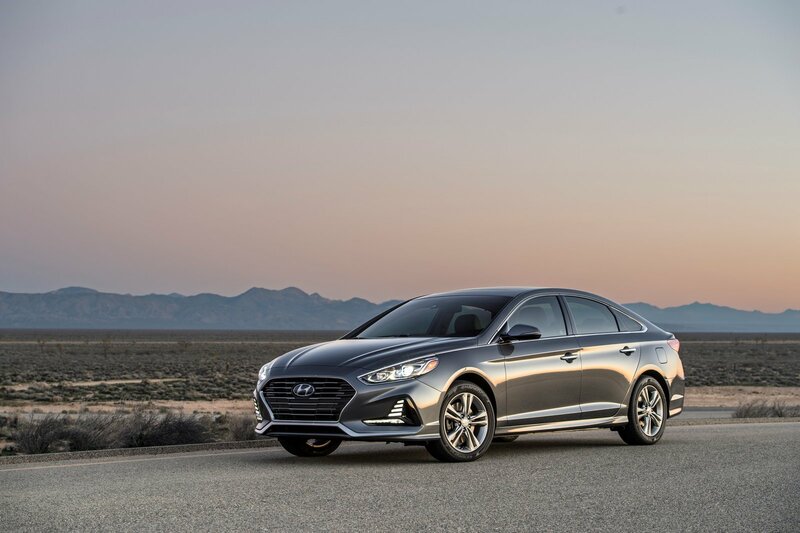 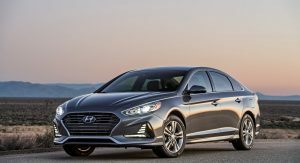 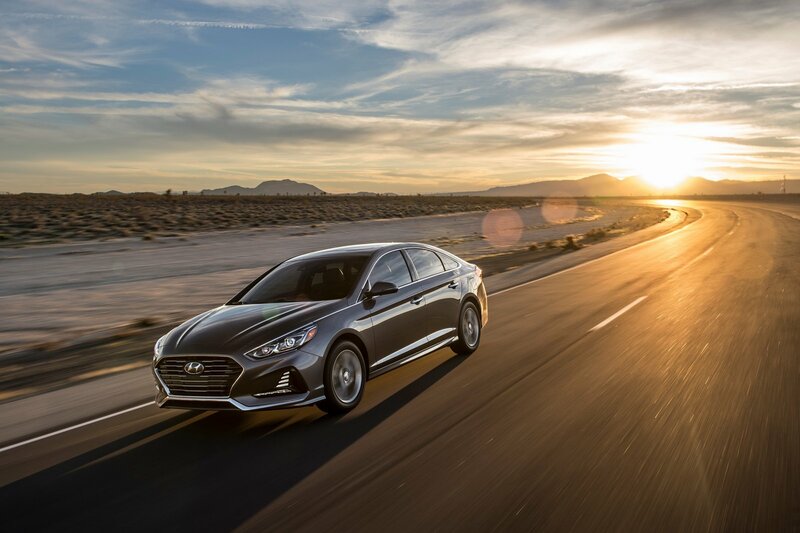 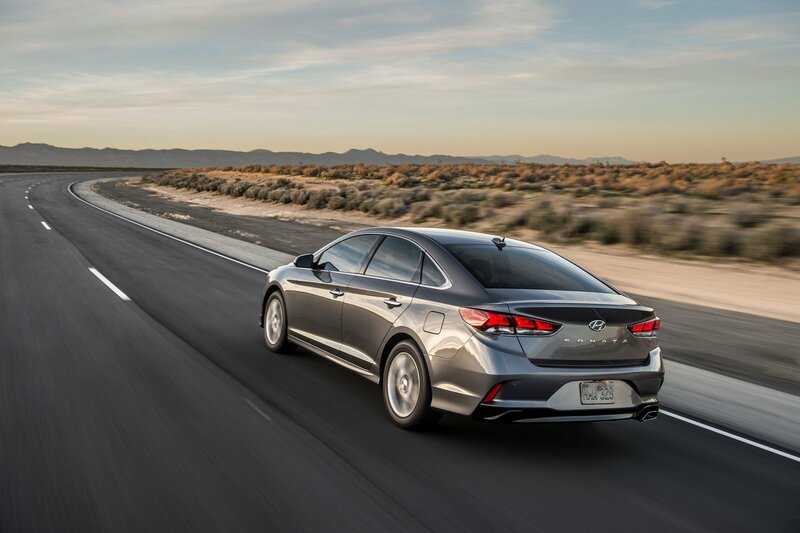 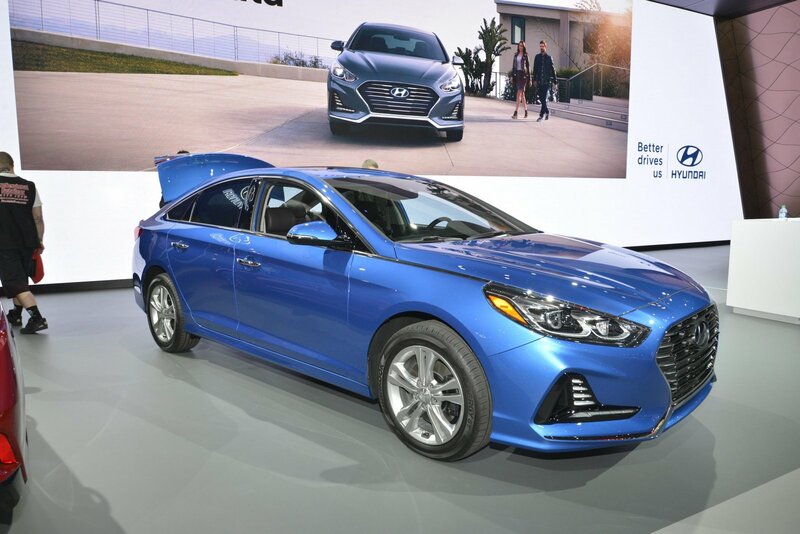 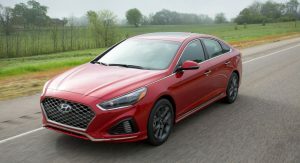 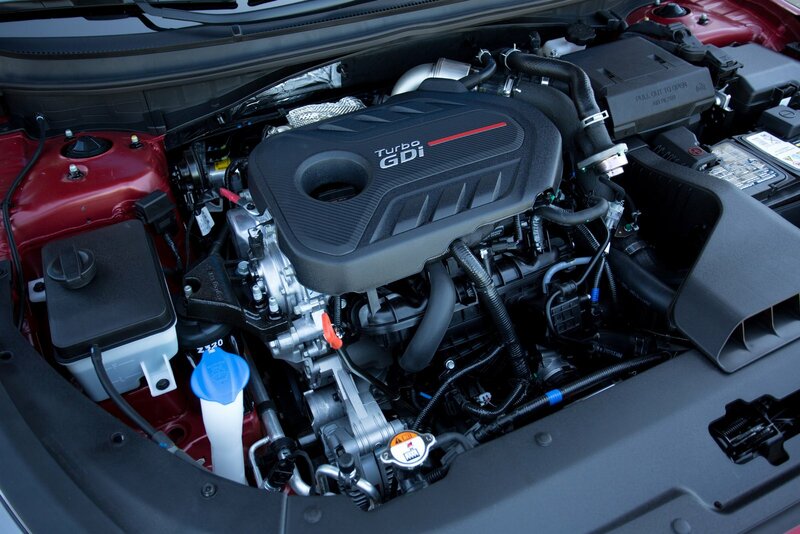 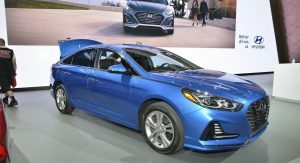 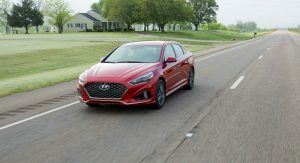 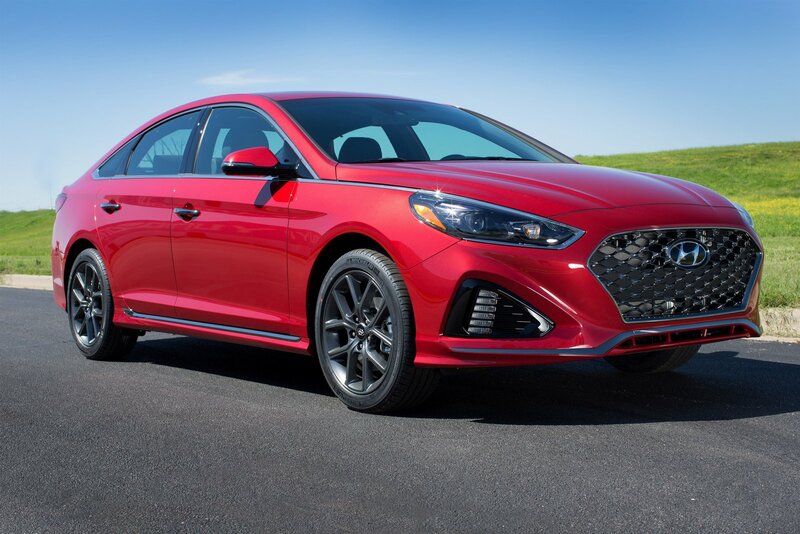 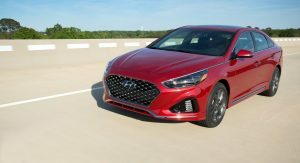 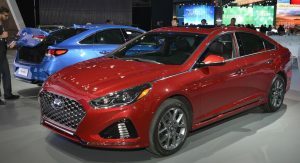 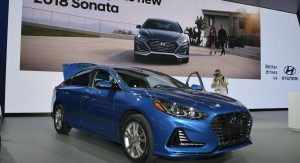 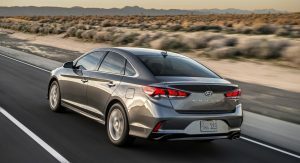 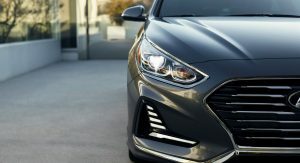 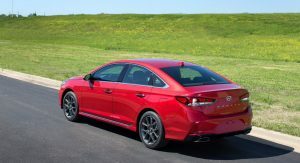 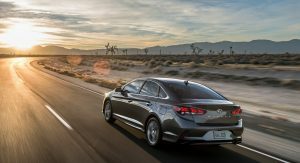 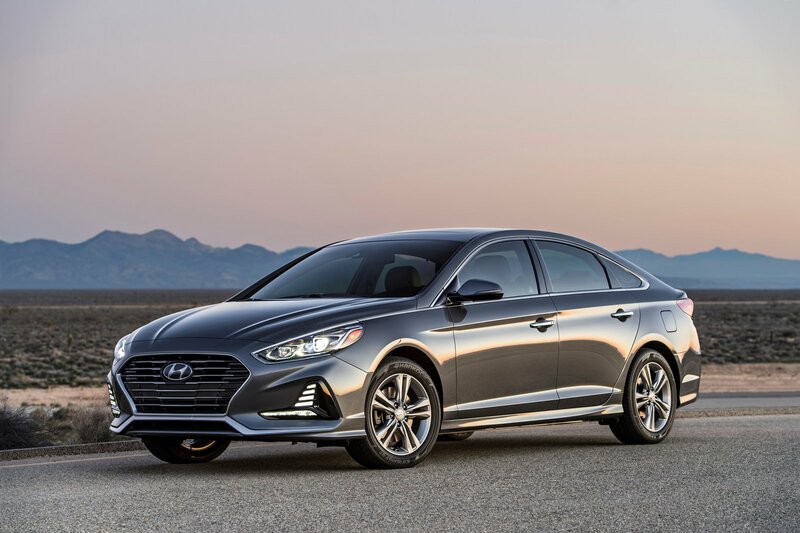 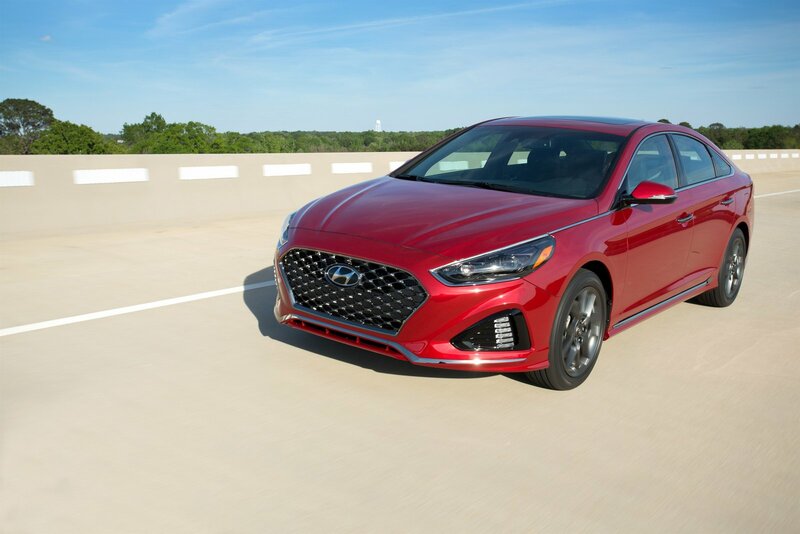 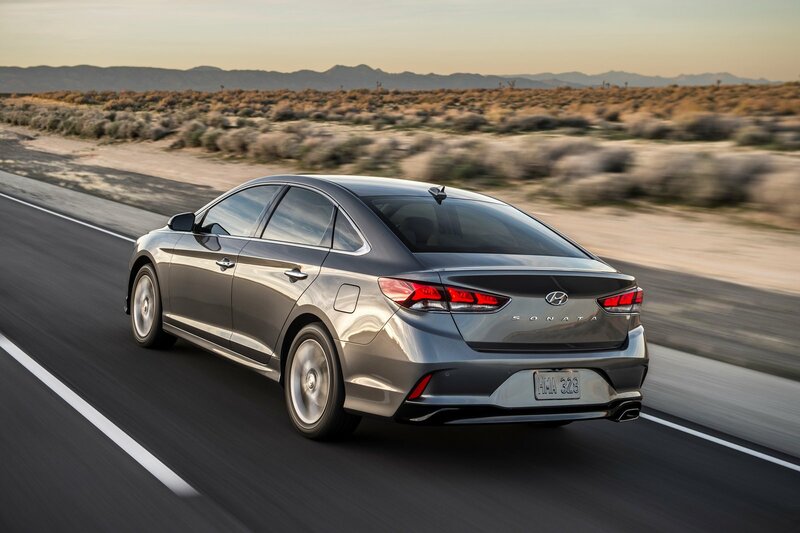 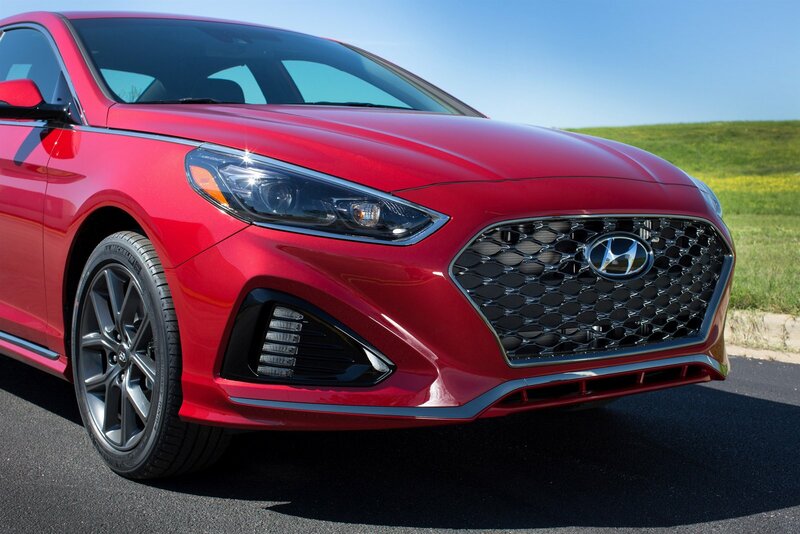 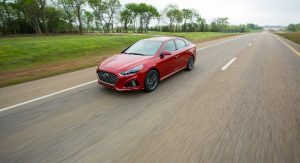 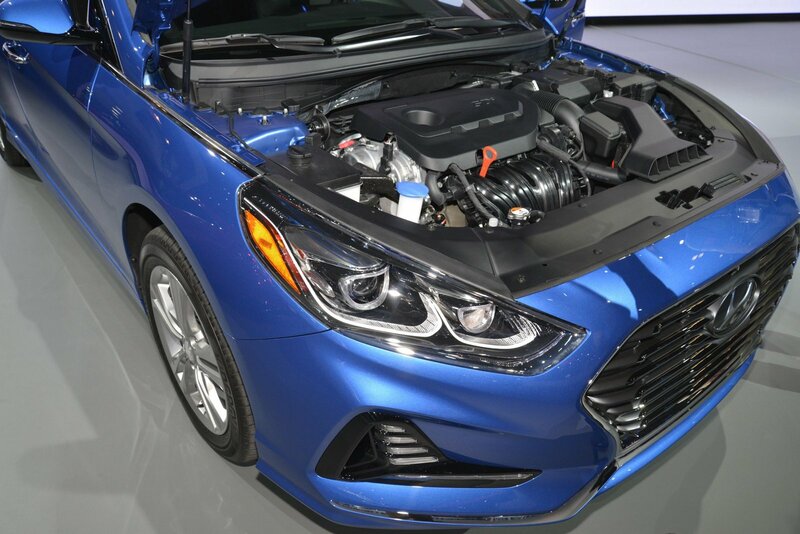 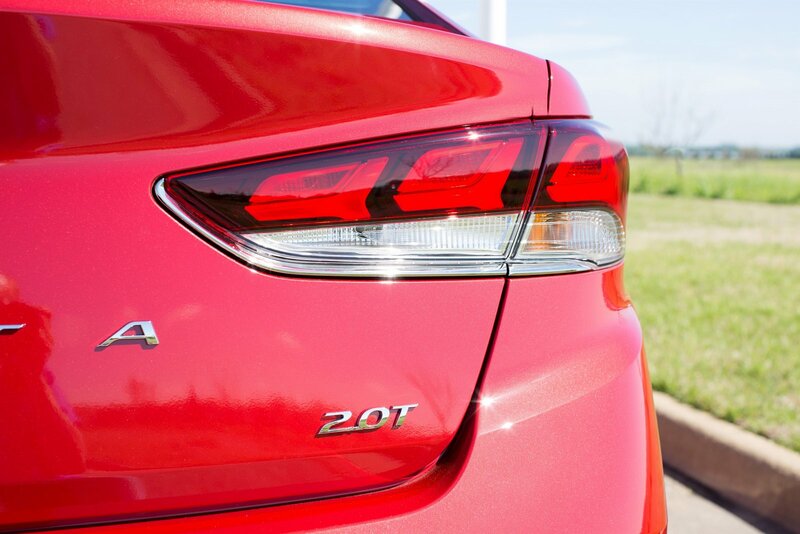 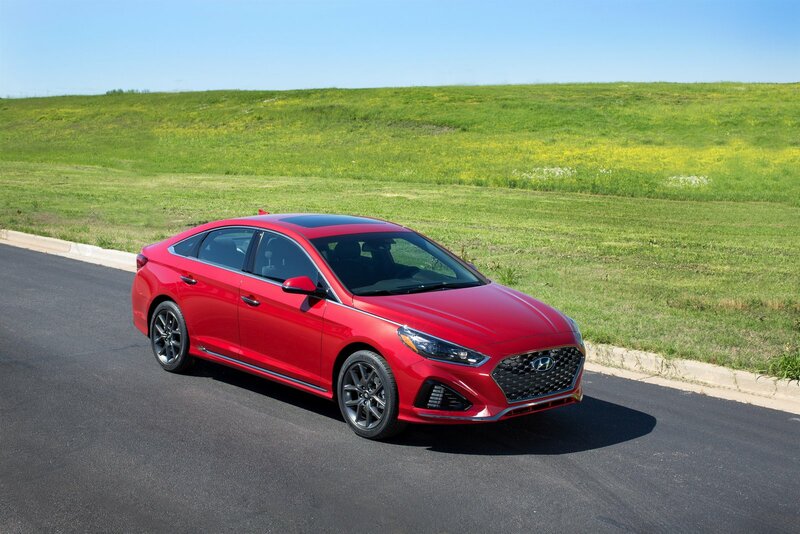 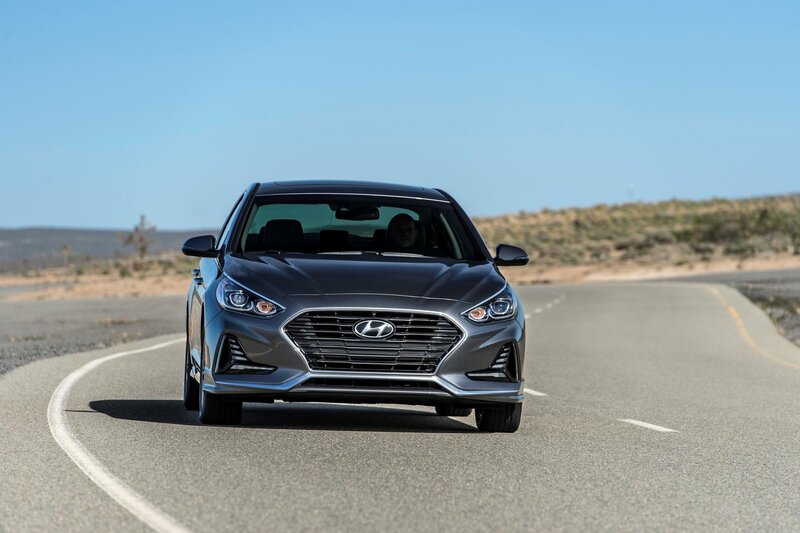 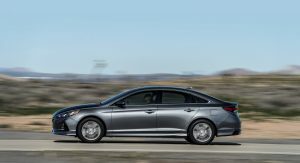 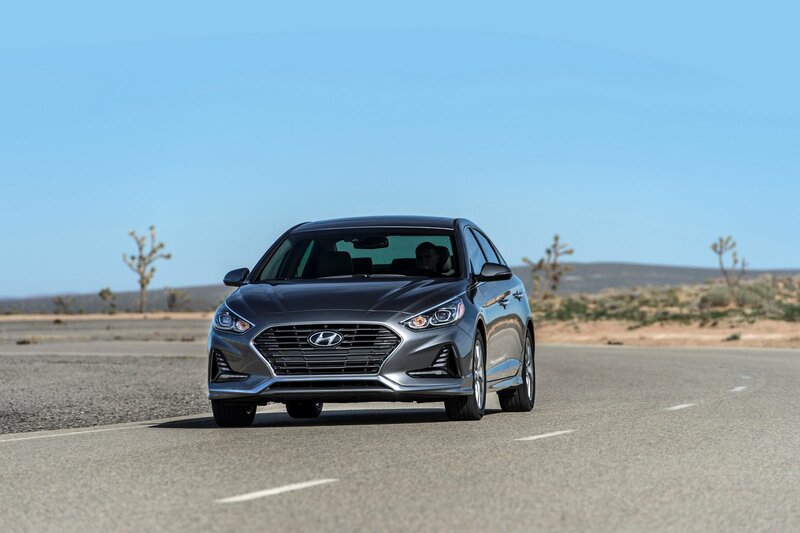 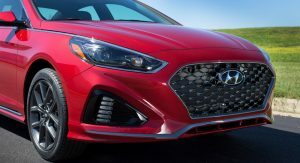 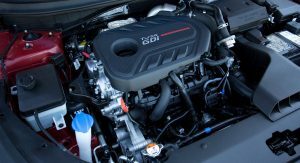 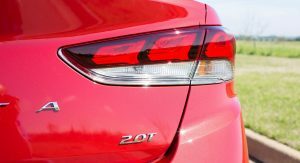 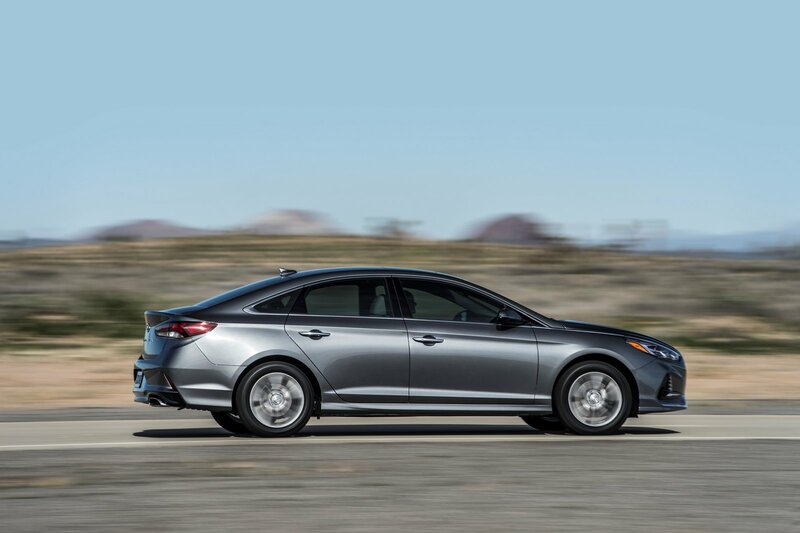 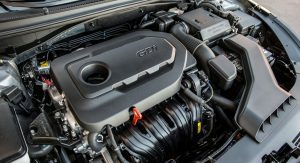 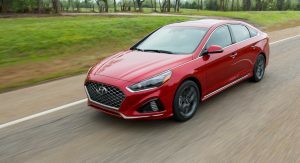 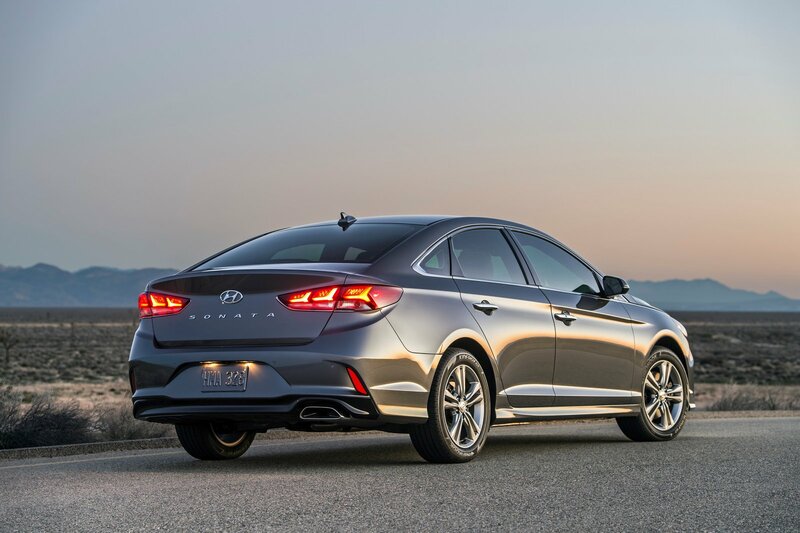 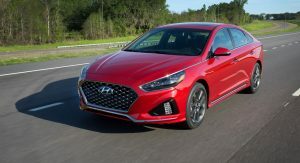 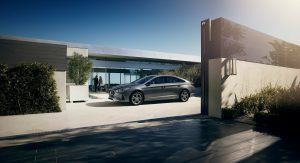 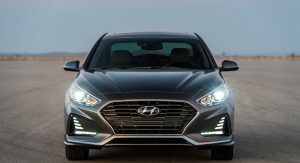 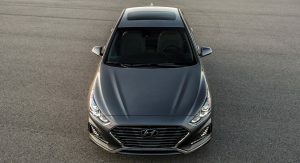 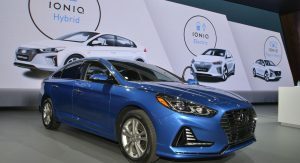 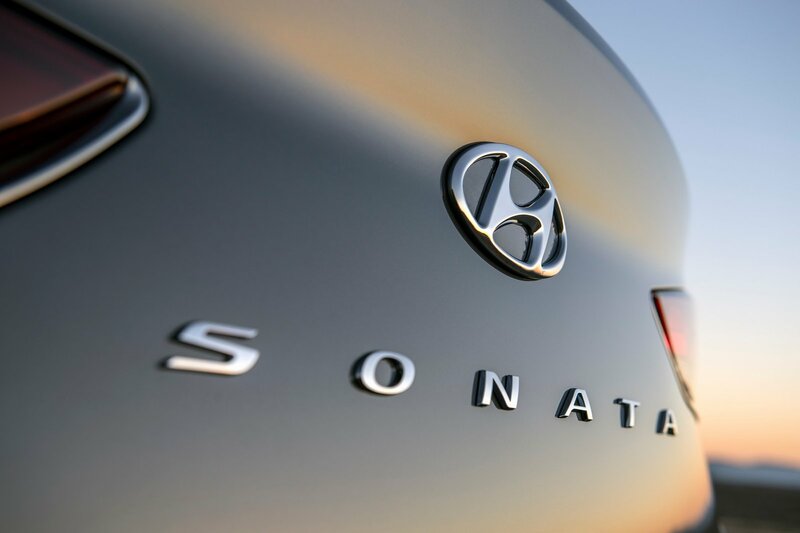 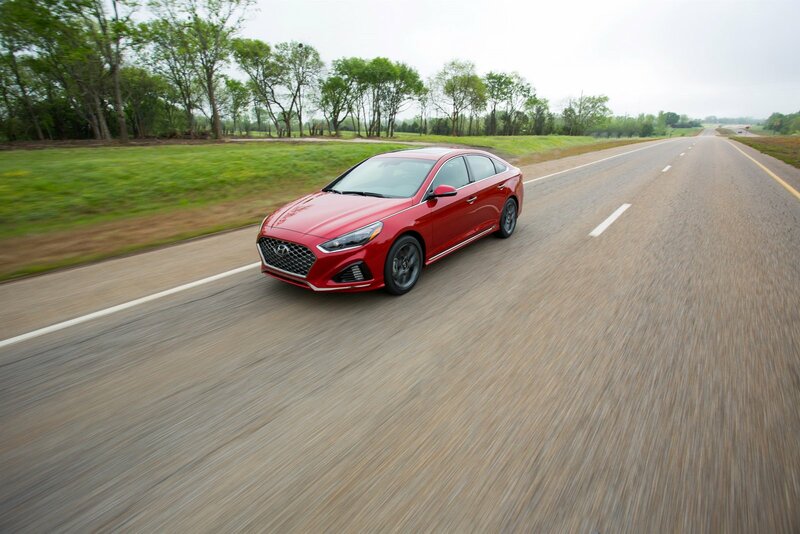 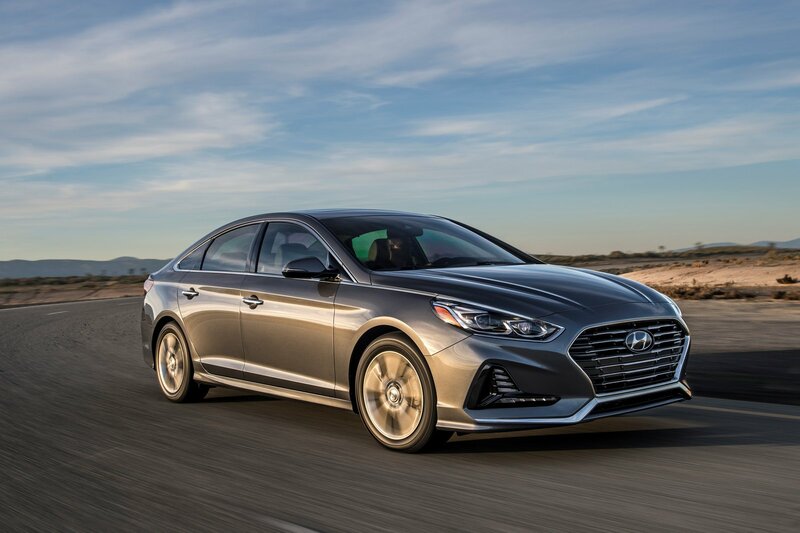 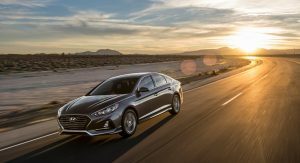 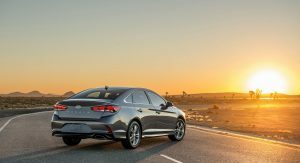 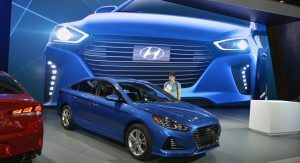 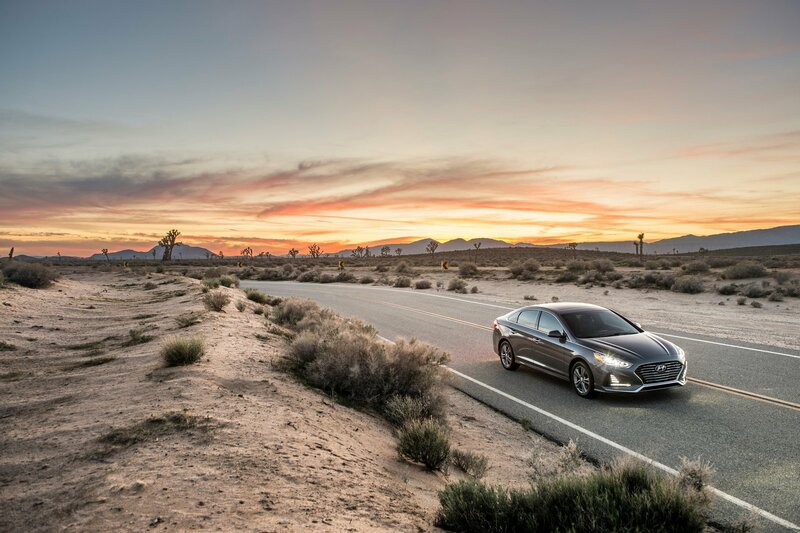 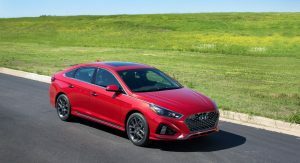 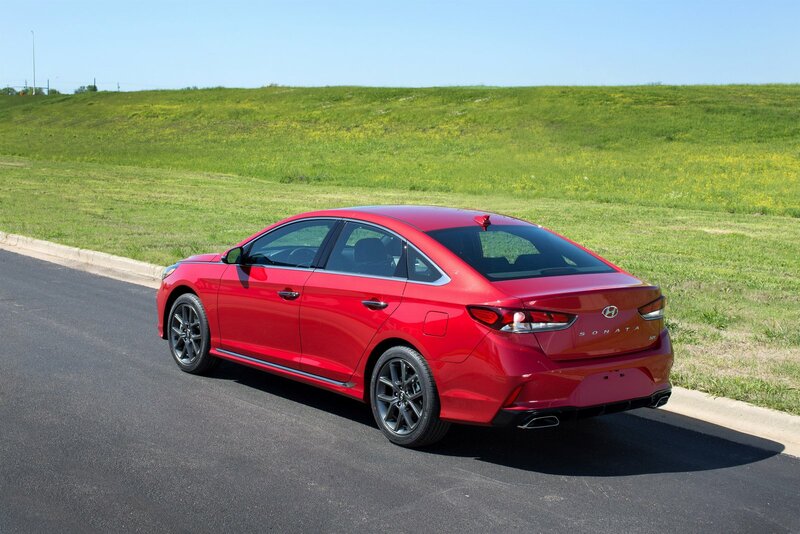 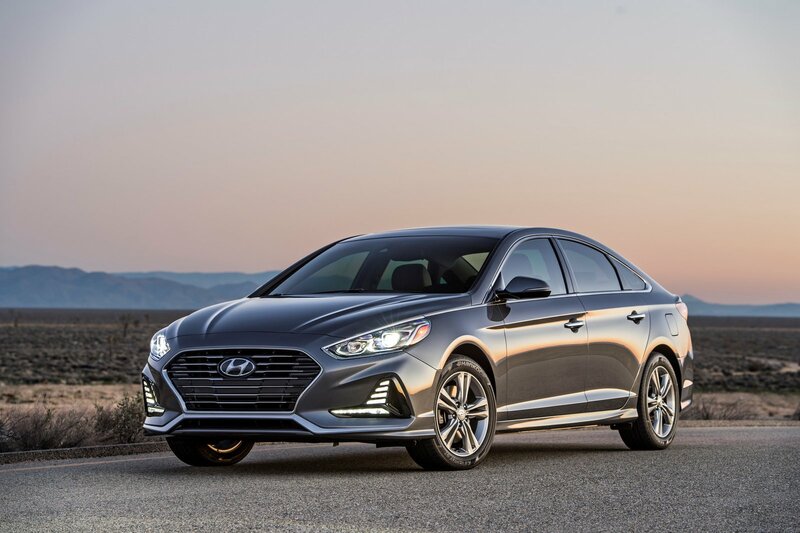 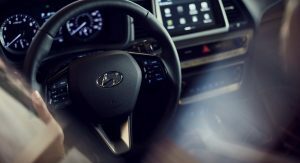 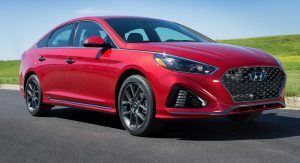 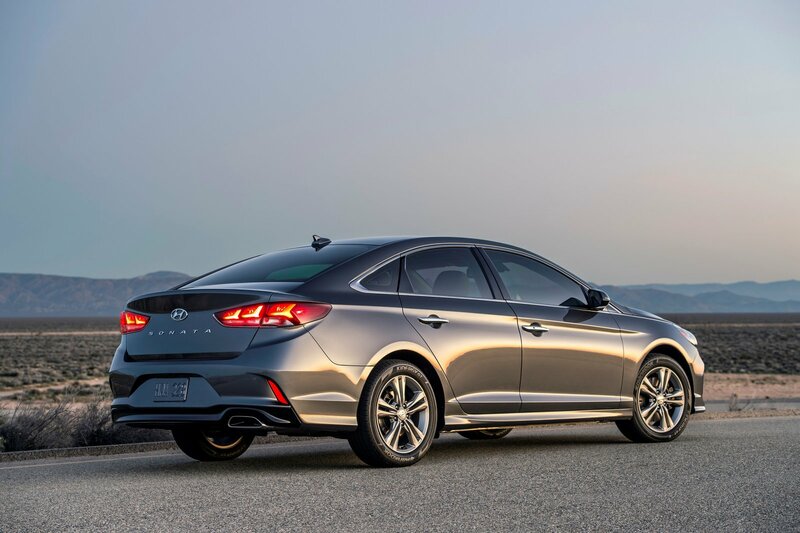 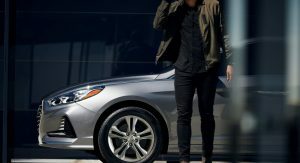 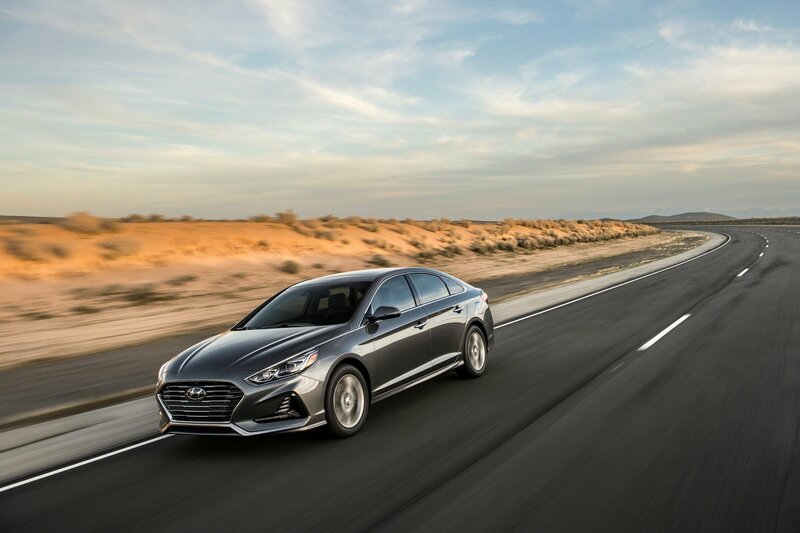 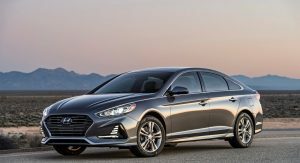 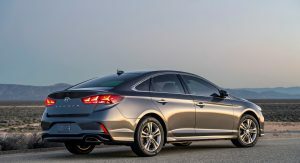 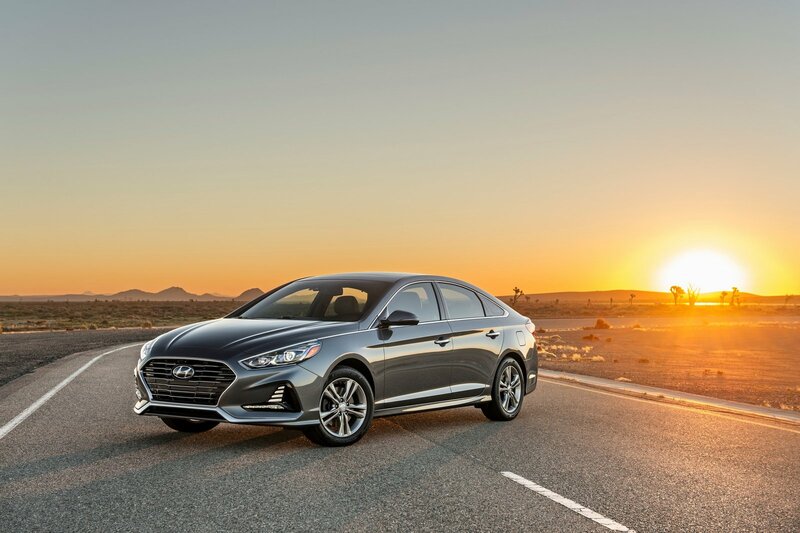 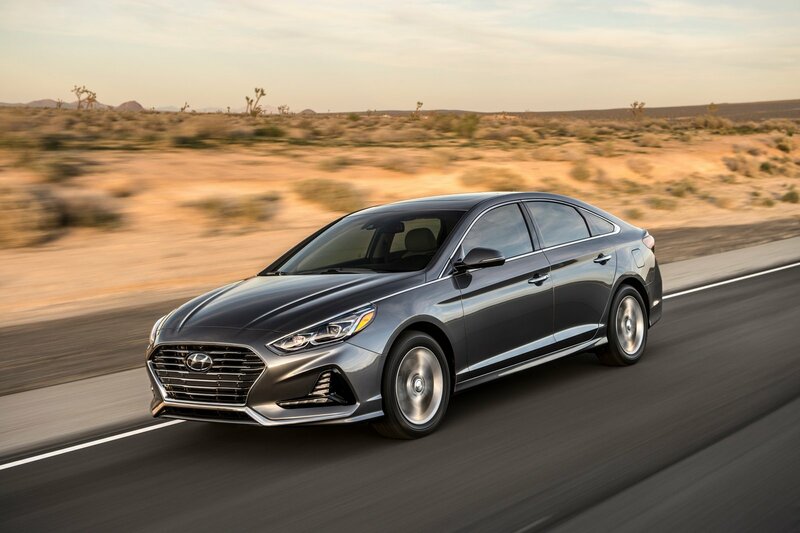 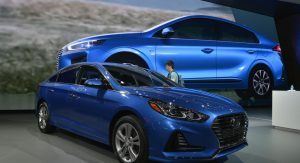 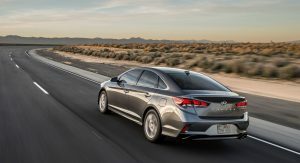 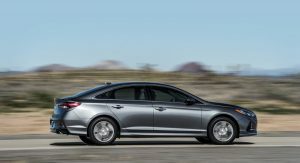 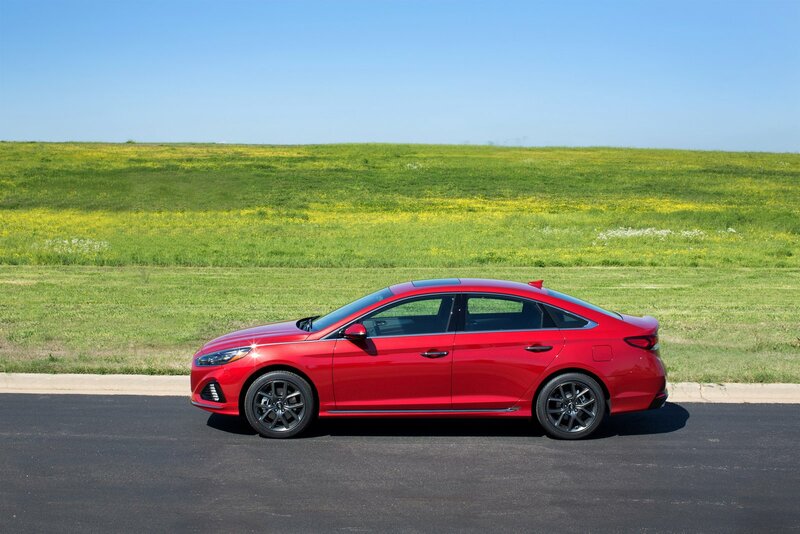 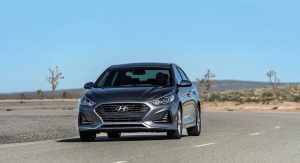 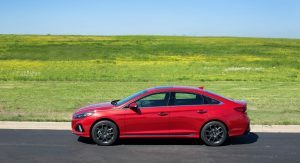 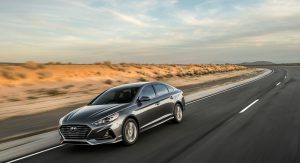 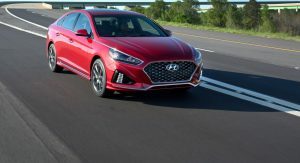 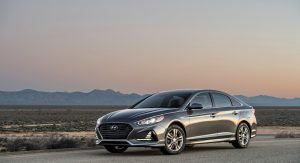 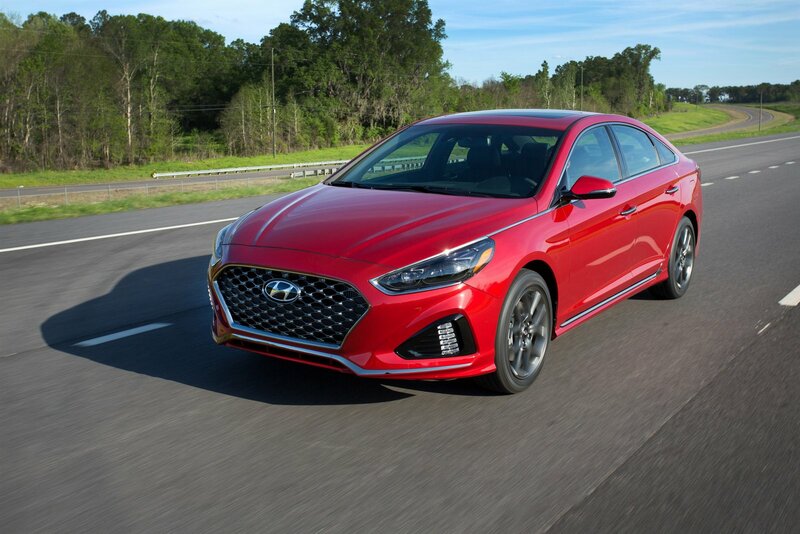 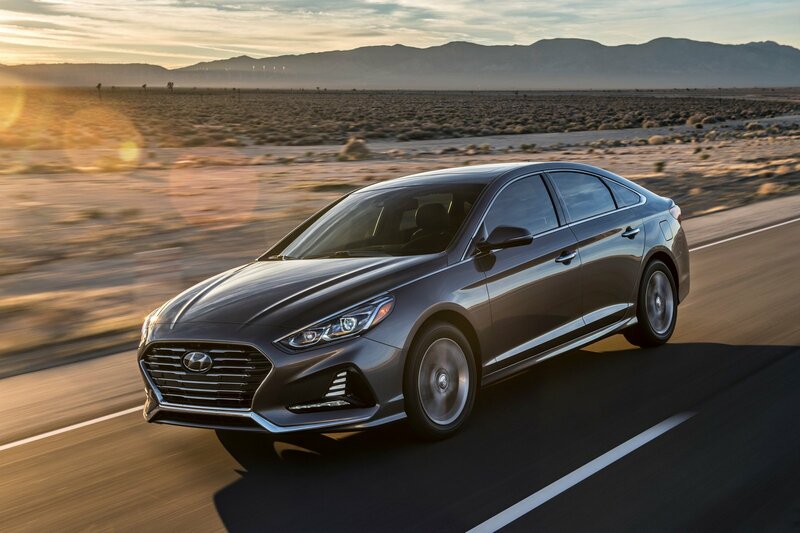 While the company was coy on performance specifications, the automaker confirmed the Sonata 2.0T will continue to be powered by a turbocharged 2.0-liter engine that develops 245 hp (248 PS). 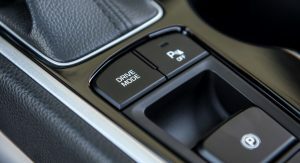 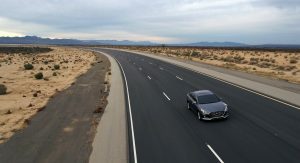 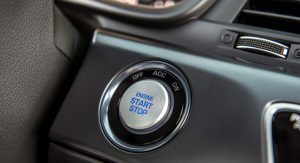 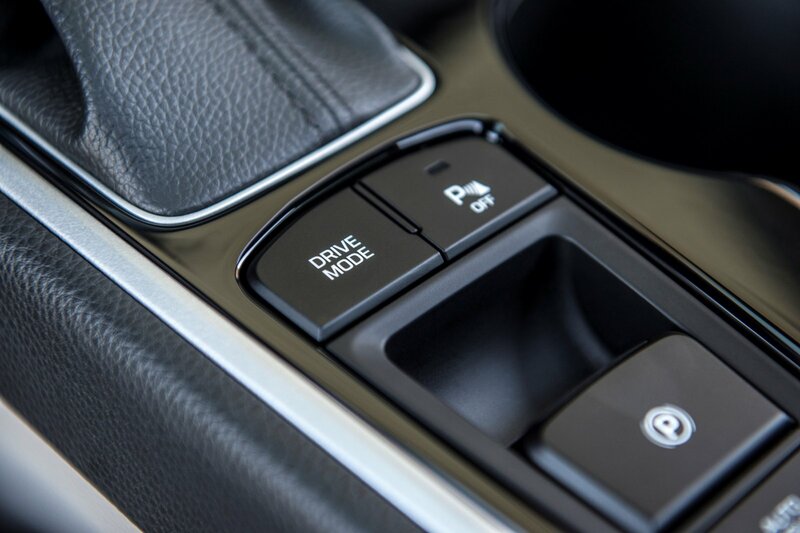 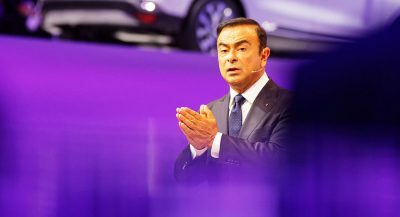 However, it will now be connected to a new eight-speed automatic transmission which replaces the previous six-speed unit. 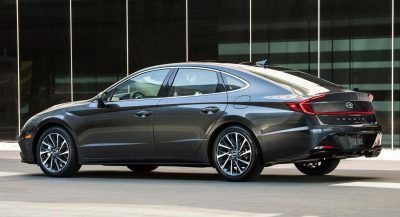 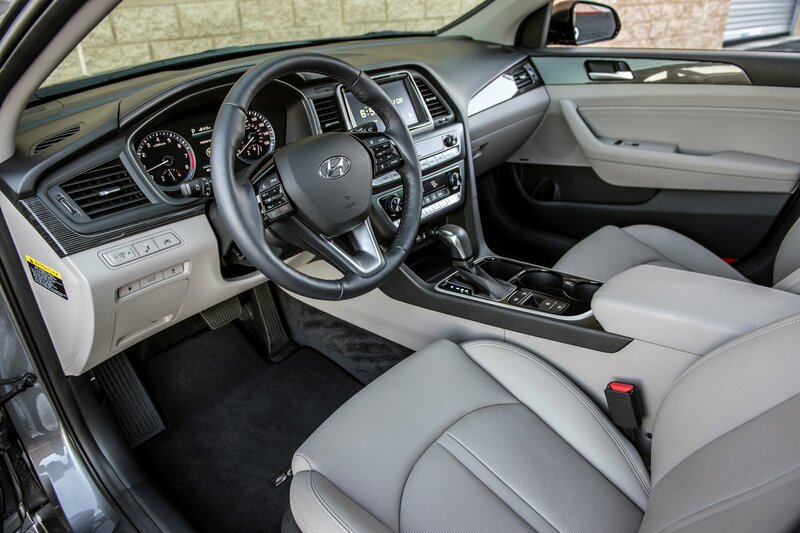 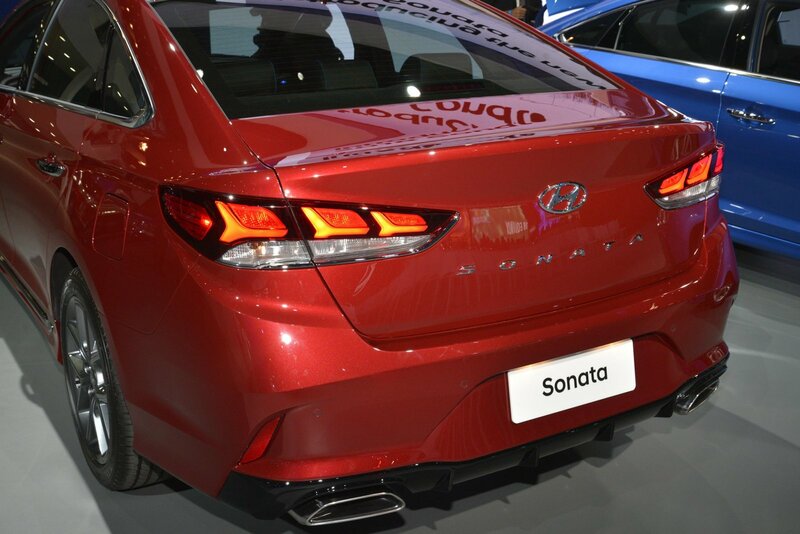 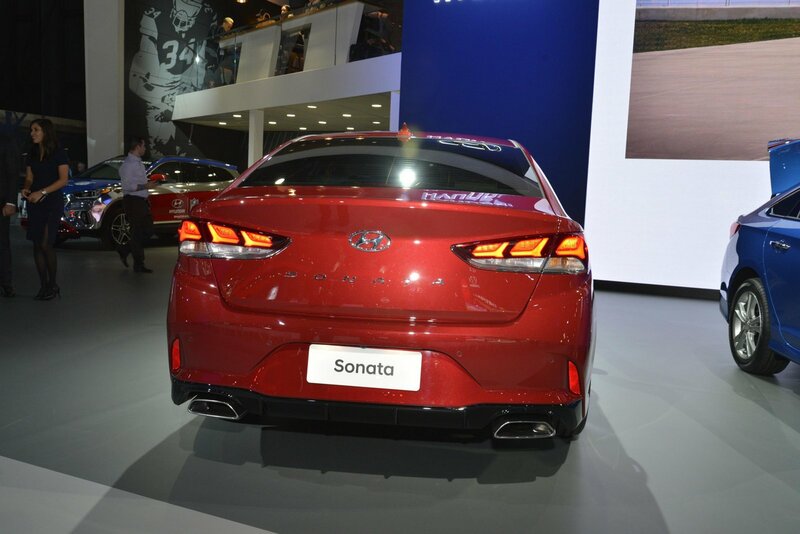 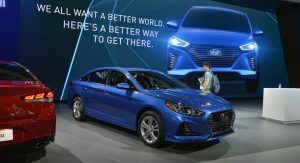 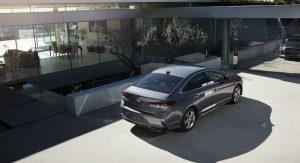 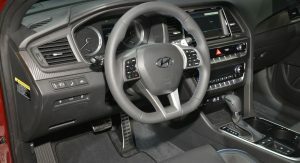 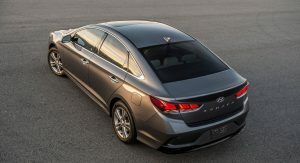 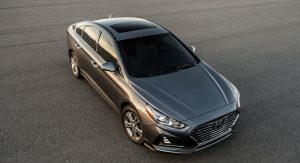 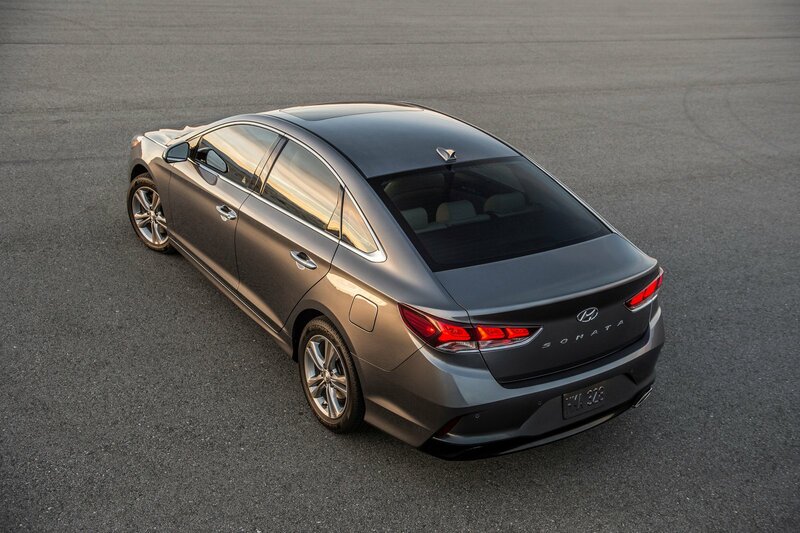 is it me or does it look more like it shouldve been the 2011 hyundai sonata succesor? 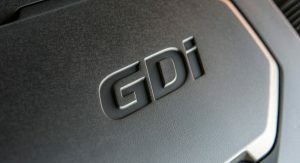 You are spot on there. 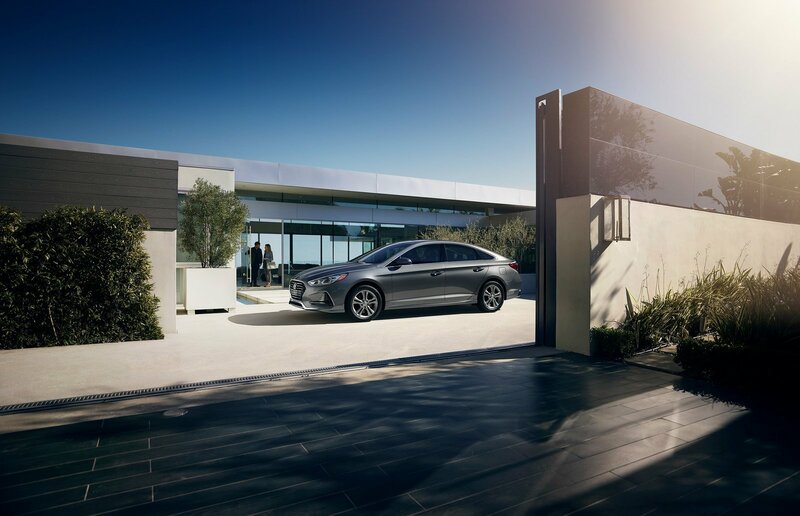 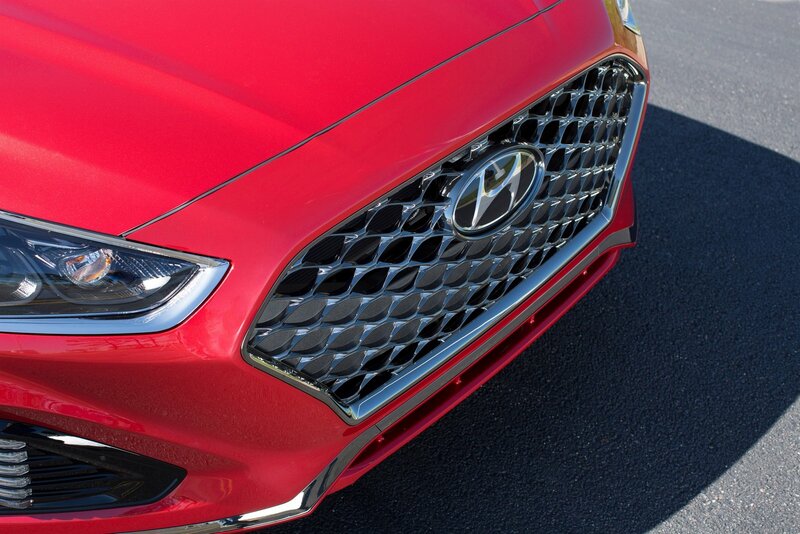 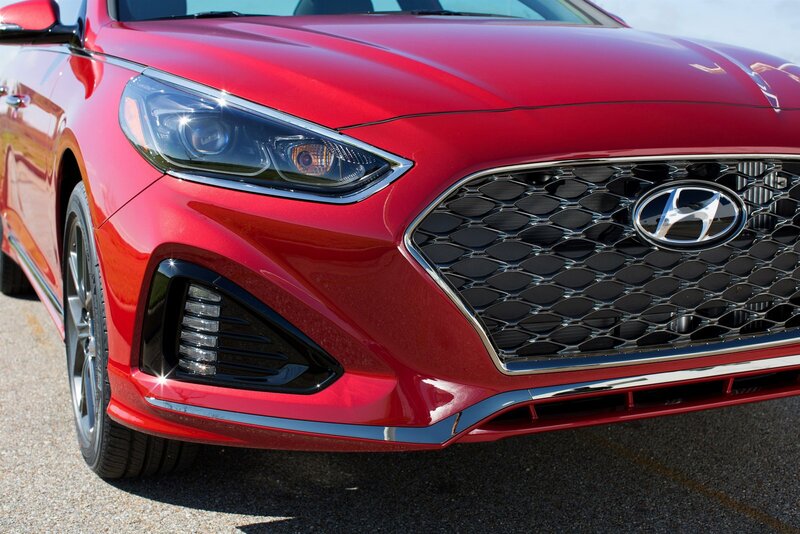 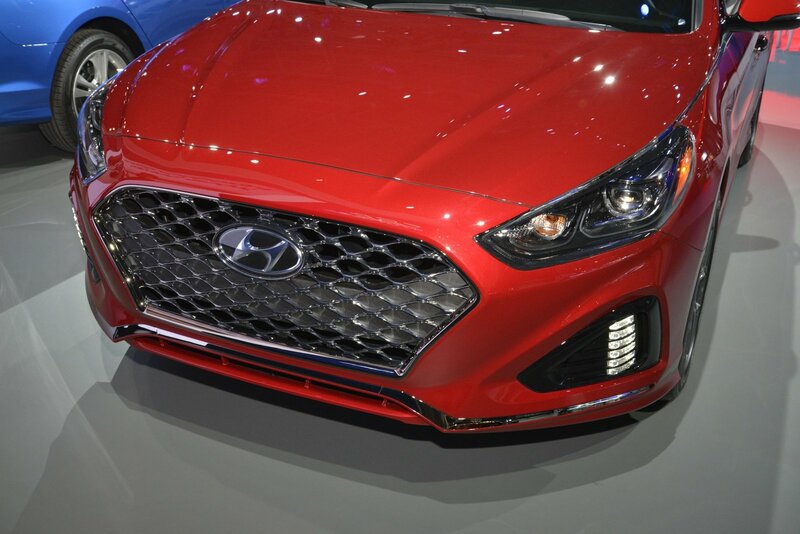 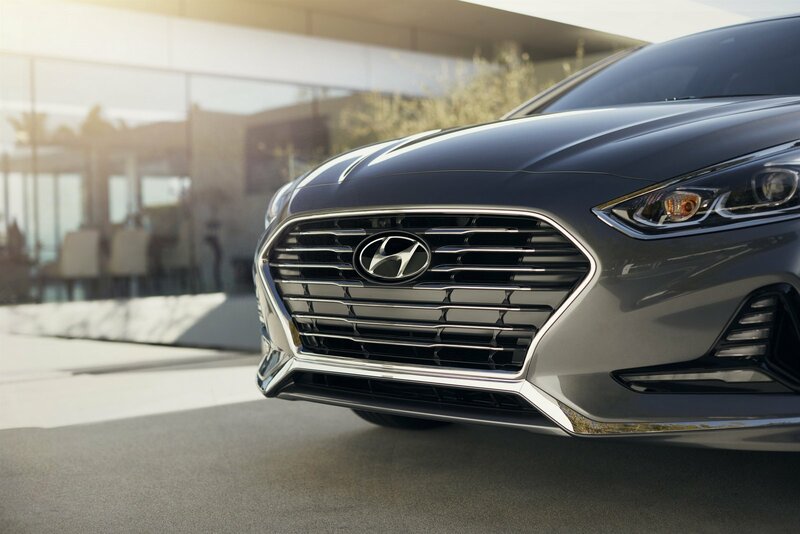 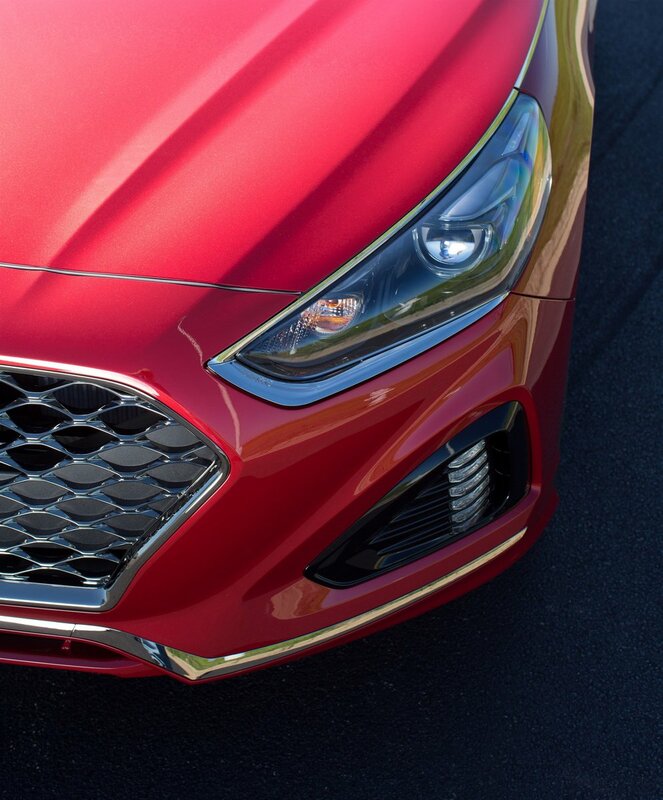 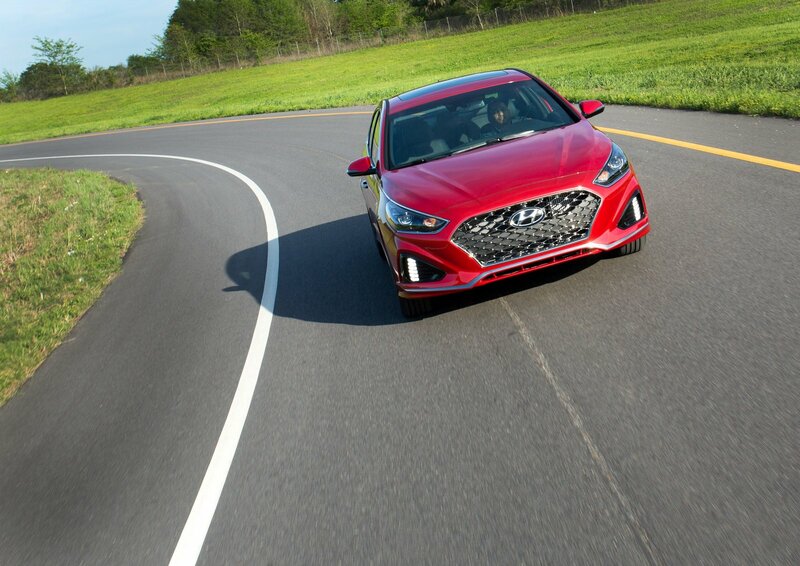 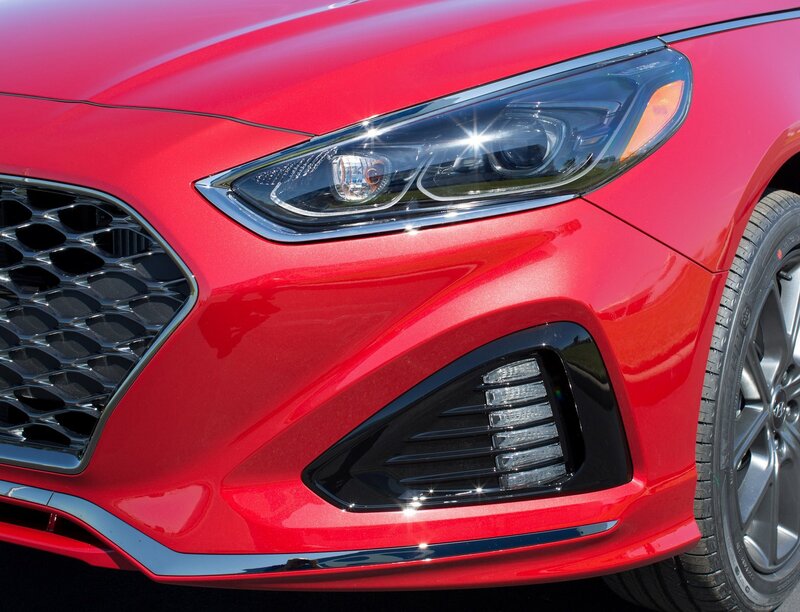 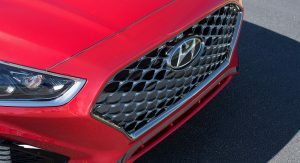 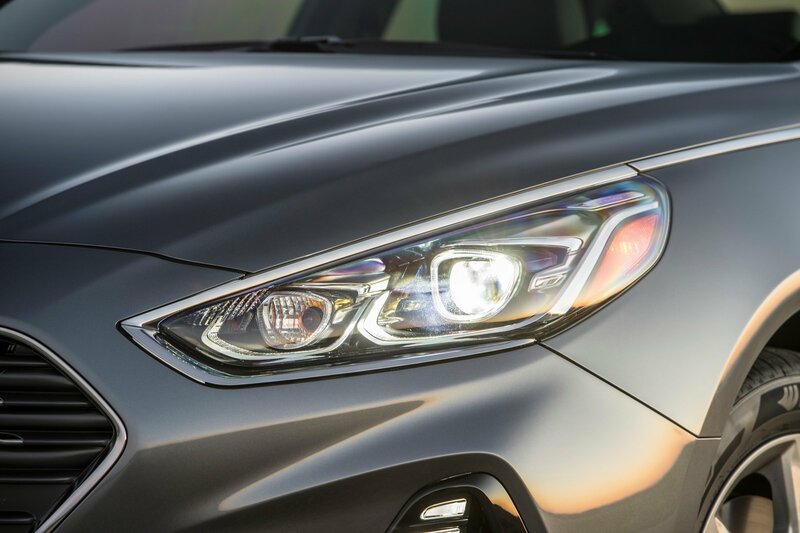 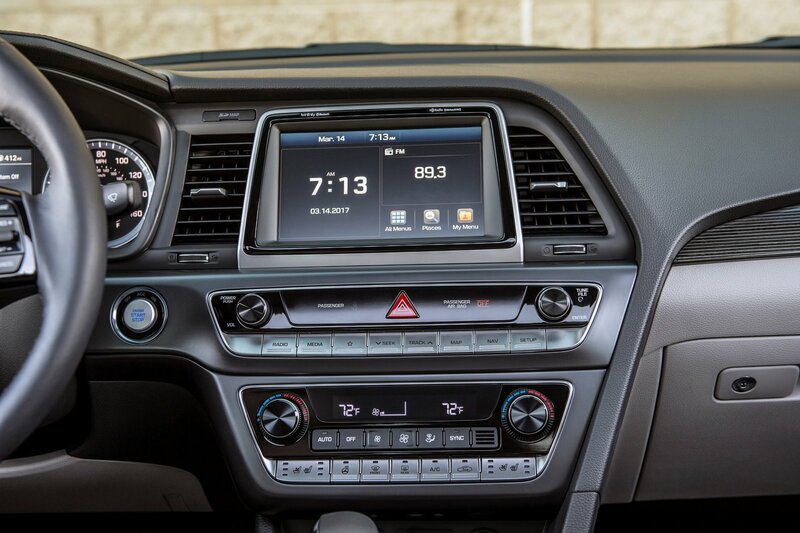 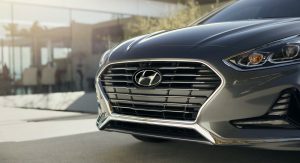 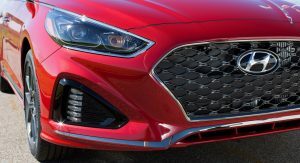 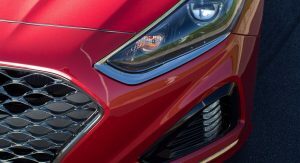 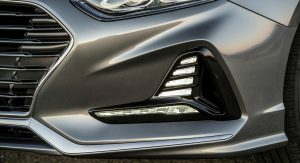 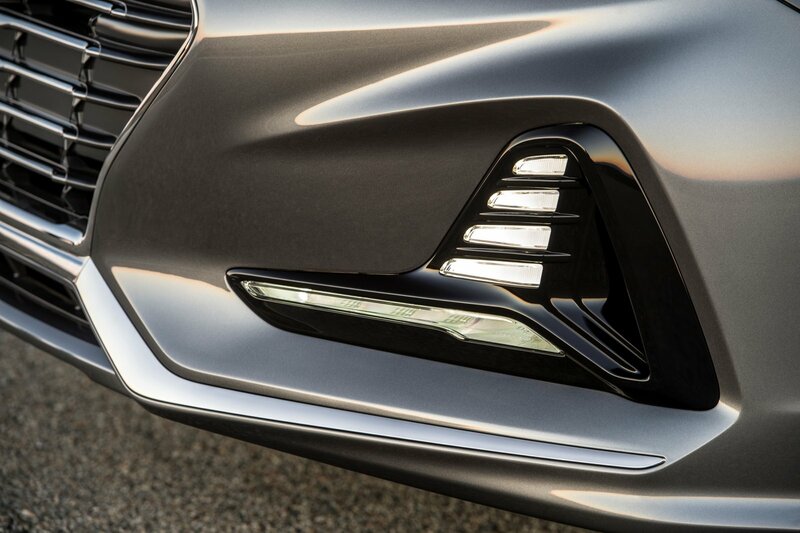 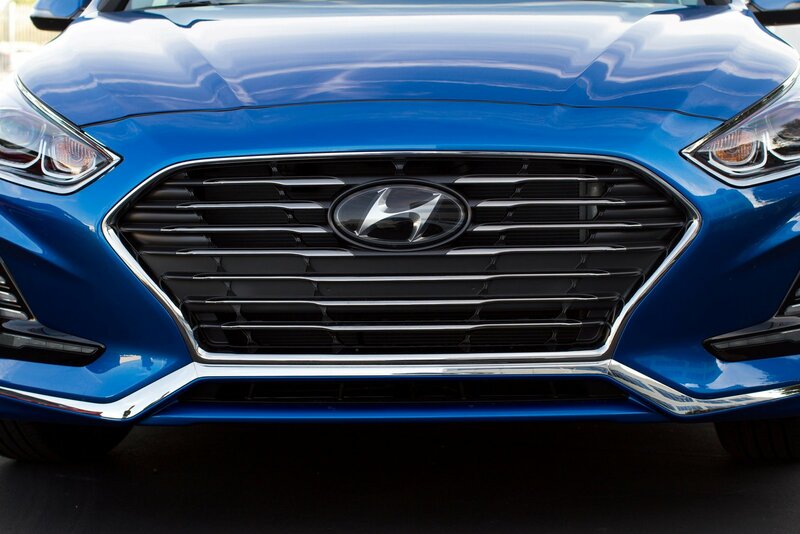 Hyundai was actually the first to utilize the hexagonal-shaped grill. 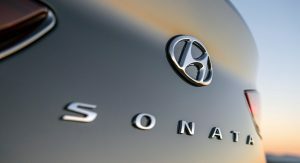 Audi, Subaru, Ford and Datsun all also use the hexagonal shape and others like Toyota use it on a few models. 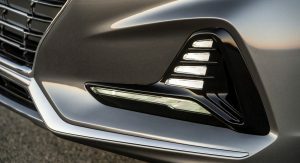 Mazda, Acura (previous to the new grill shape) and Cadillac have long used a pentagram-shaped grill. 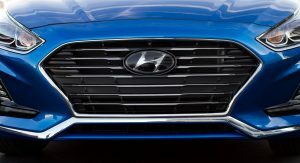 Hyundai should really reconsider what they think is newsworthy. 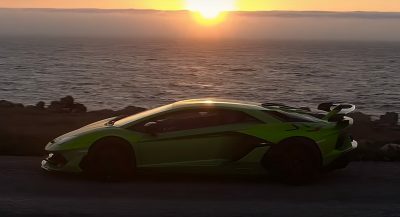 The streamcast event today with the designer’s vision… Really? 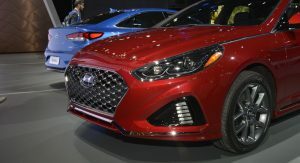 This is non-news. 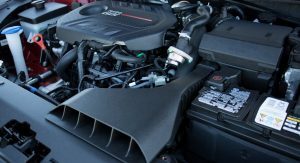 AT LEAST THEY’RE USING THE FAKE AIR INTAKE FOR SOMETHING USEFUL. 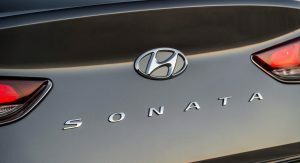 I feel they lost the vibe and excitement they had with their major redesign 2 generations ago. 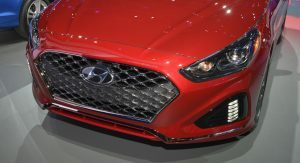 Since then, they seem to only focus on toning down the excitement and cleaning up the design. 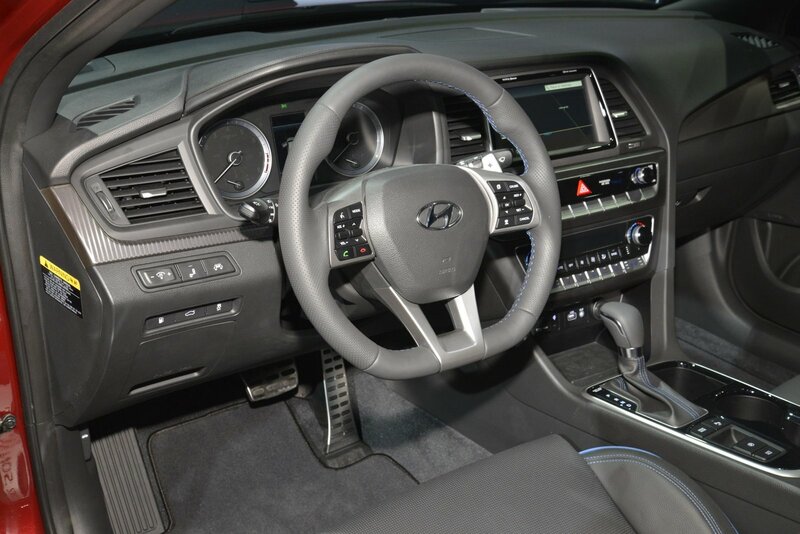 The interior is bland, looks cheap in all black. 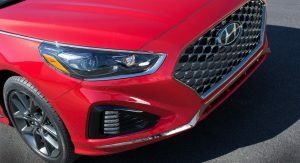 The front end is way too busy and cramped and is forced too wide onto the side front fenders but then the sides are completely bland. 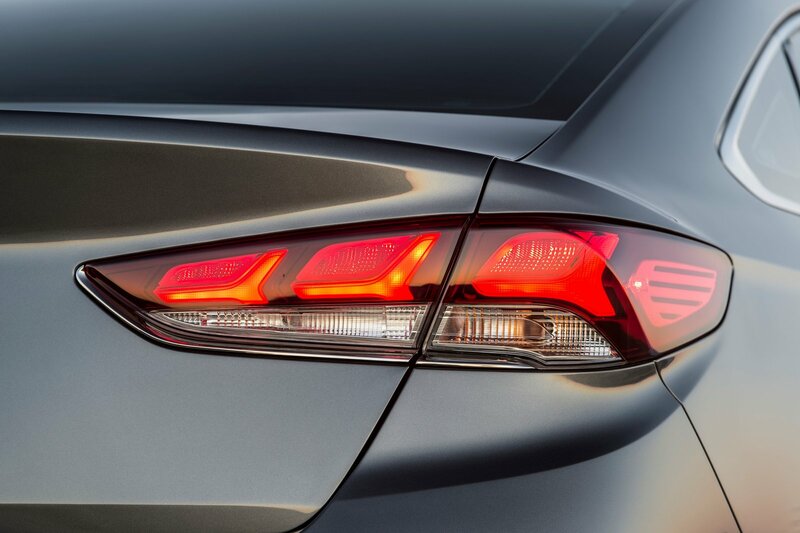 It simply no longer has the same flow or excitement that was introduced with that initial major redesign. 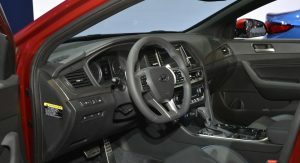 are they no longer offering the panoramic sunroof with this refresh? 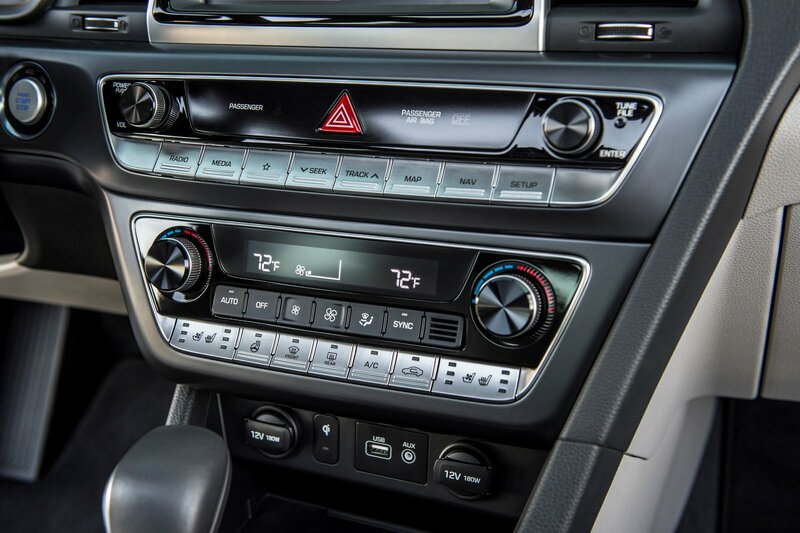 The new Camry ain’t scared. 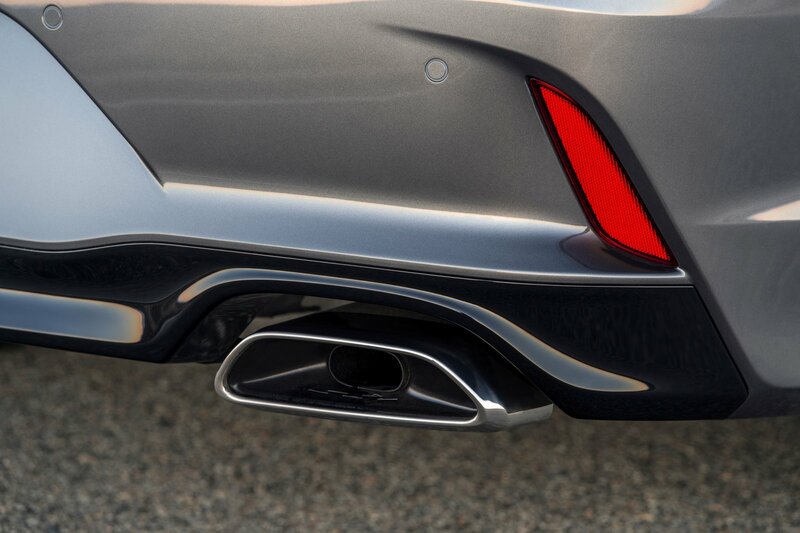 Yawn. 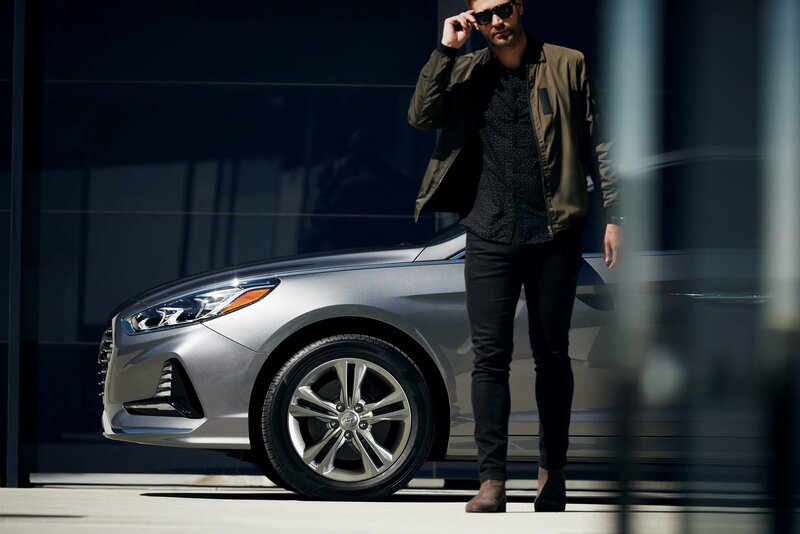 It’s like GAP saying they’ve redesigned their t-shirts.